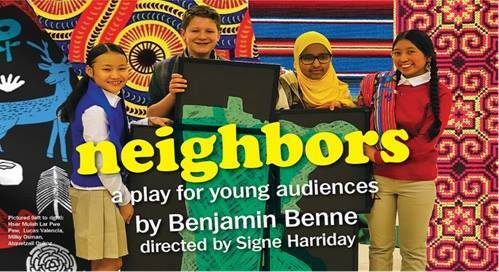 neighbors toured schools in Minnesota and had a public presentation at the History Theatre in St. Paul, MN on February 25, 2019 at 7pm. Directed by Signe Harriday. 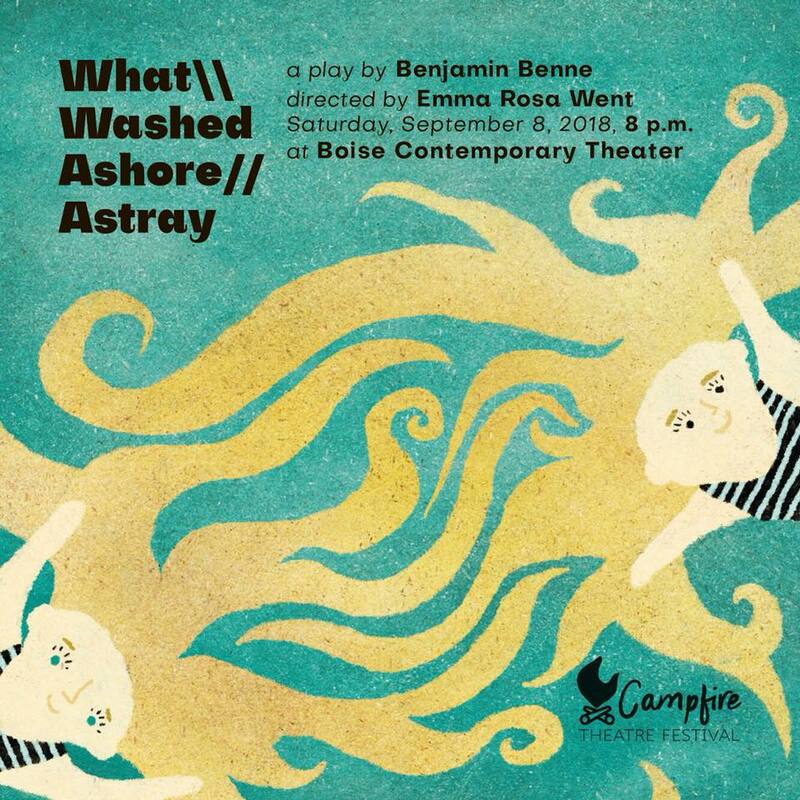 What \\Washed Ashore //Astray was featured as part of Campfire Theatre Festival's Staged Reading Series in Boise, ID in September 2018. 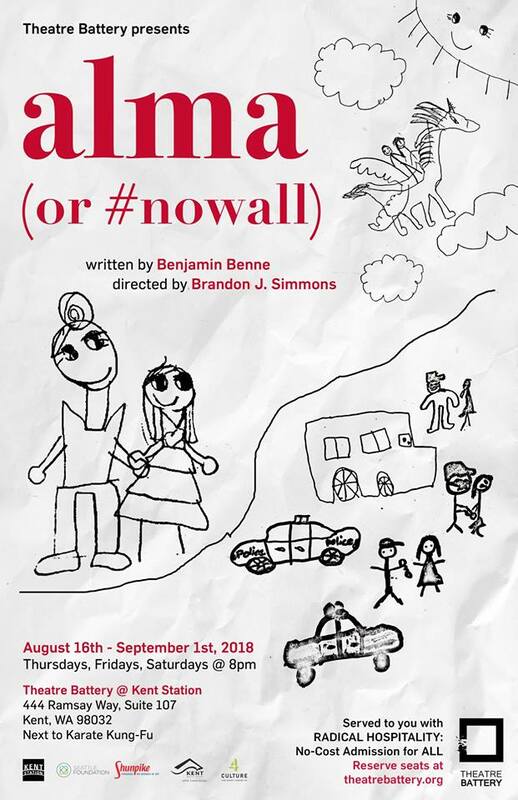 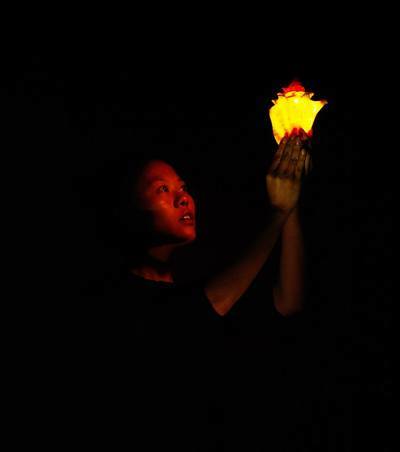 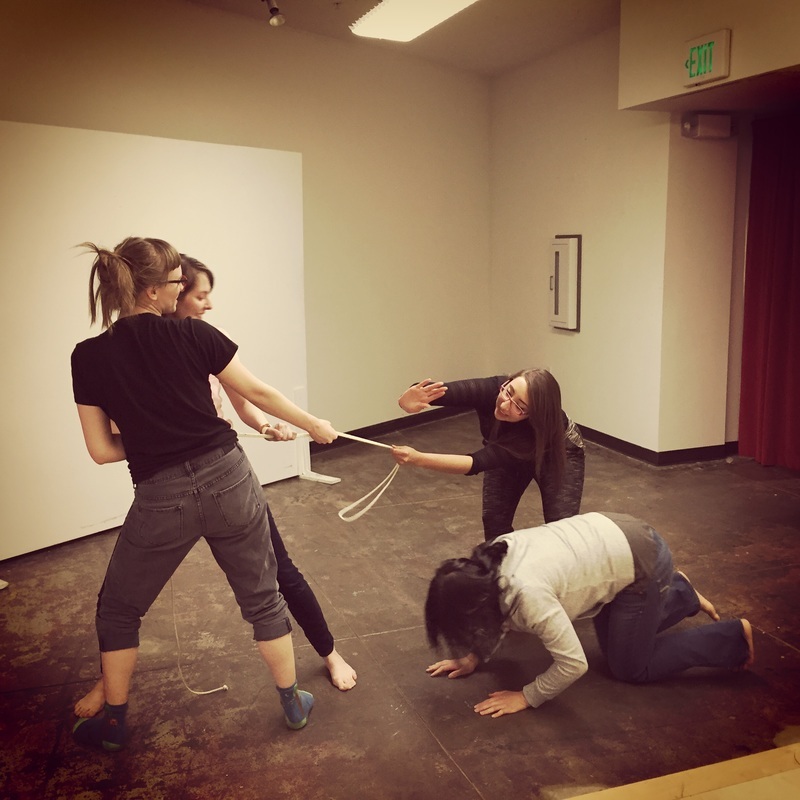 Alma (or #nowall) was presented as a workshop production at Theatre Battery in Kent, WA. The cast included Anabel Hovig (Alma) and Klarissa Robles (Angel) with direction by Brandon J. Simmons. 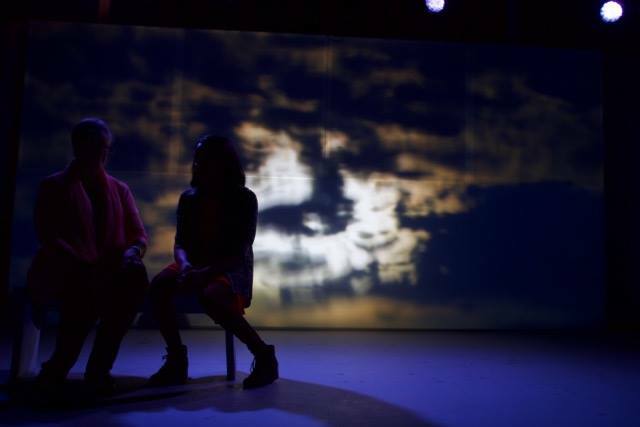 Coverage on the play was featured in the Kent Reporter and KNKX, and Benjamin and Artistic Director Logan Ellis were interviewed on the King5 News. 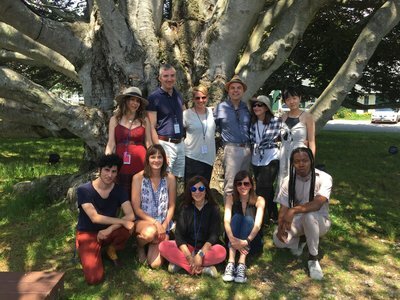 #nowall was 1 of 8 plays selected from over 1400 submissions for the 2018 Eugene O'Neill Theater Center's National Playwrights Conference and was presented in Waterford, CT on July 6 & 7. 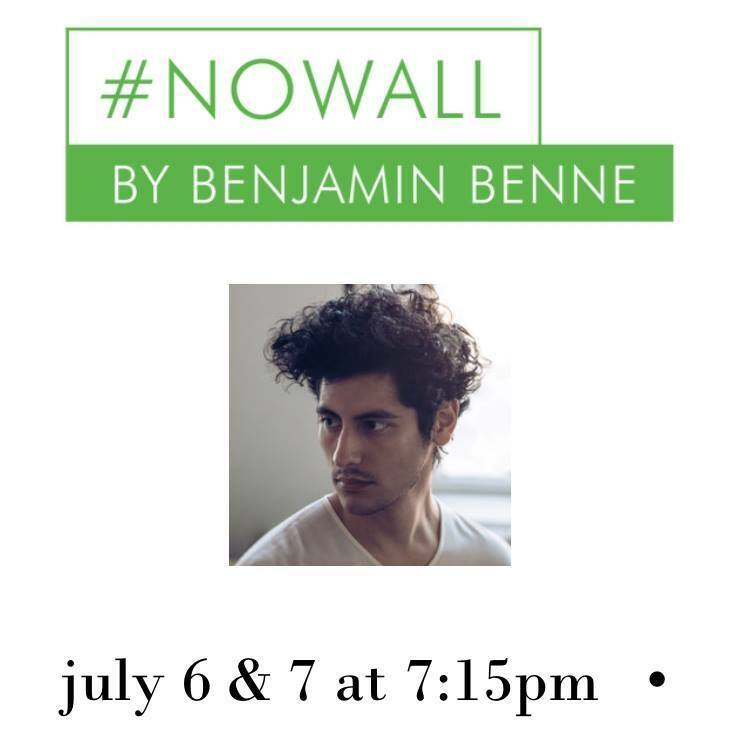 An interview with Benjamin about #nowall was featured in The Day. 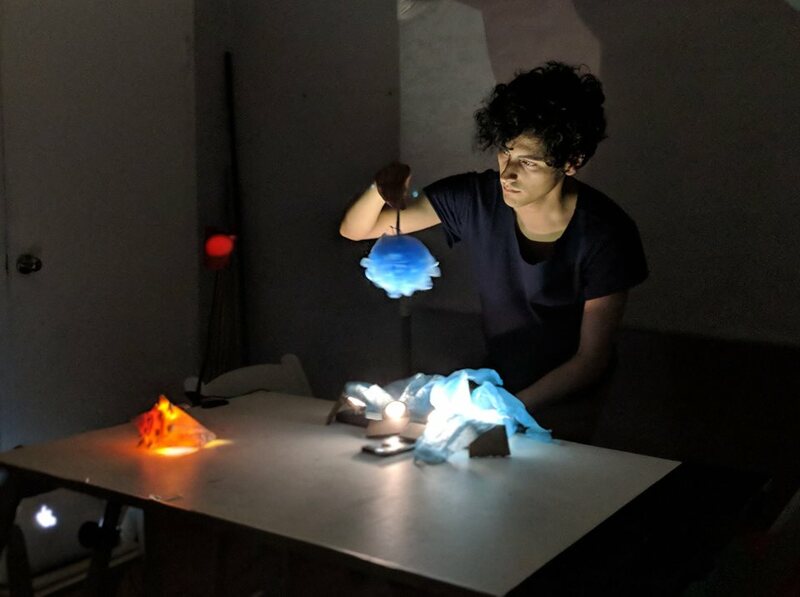 Benjamin's debut puppetry short titled alien observer was featured at Pillsbury House Theatre as part of Monkeybear Harmolodic Workshop's 2018 puppetry showcase on June 29 & 30 performed by Julia Gay. 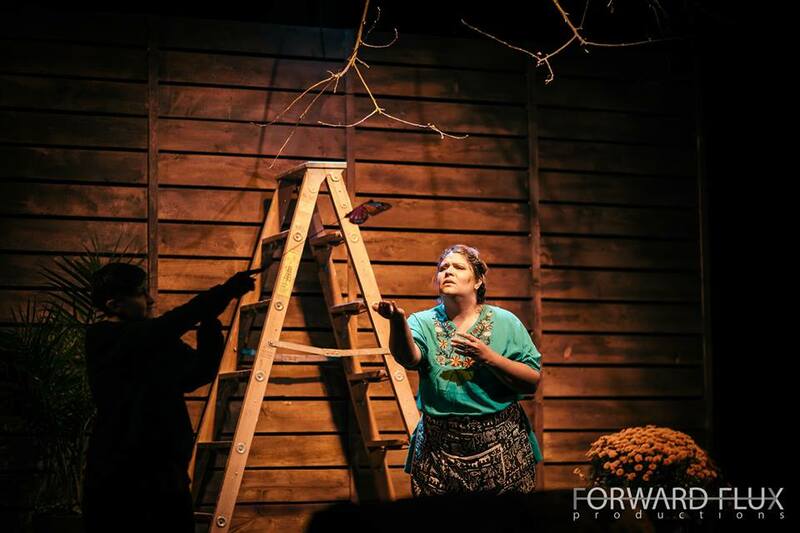 Benjamin was named a finalist for SPACE on Ryder Farm's 2018 Working Farm playwrights group. 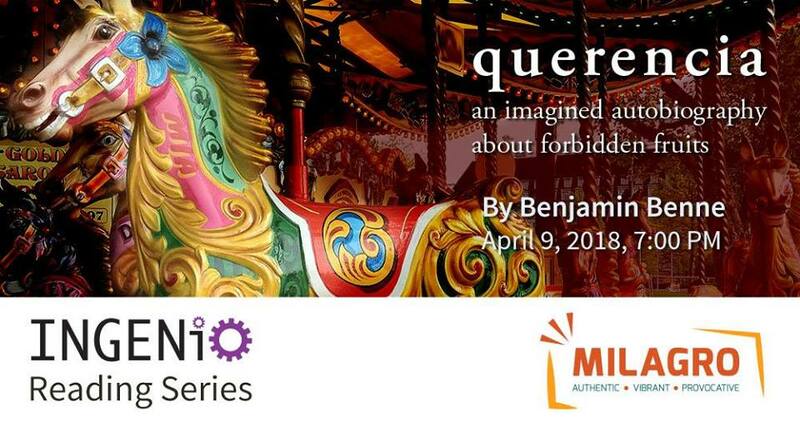 ​q u e r e n c i a: an imagined autobiography about forbidden fruits was presented as part of Teatro Milgaro's INGENIO reading series in Portland, OR on April 9, 2018 at 7:00pm. 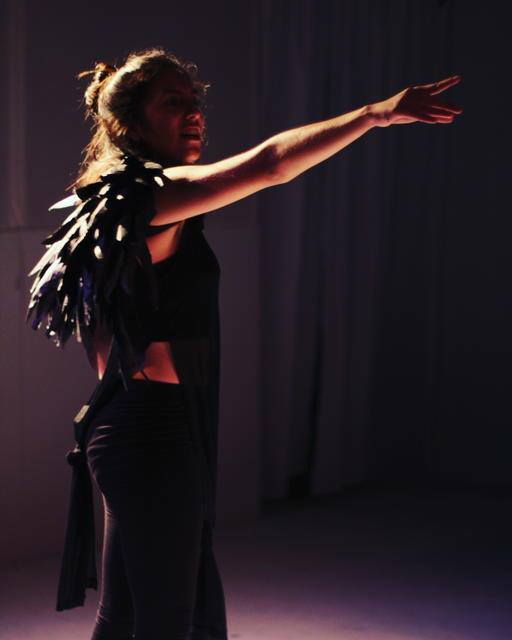 q u e r e n c i a: an imagined autobiography about forbidden fruits was named 1 of 8 plays, from a pool of 75 considered, as the "Best Unproduced Latin@/x Plays of 2018" by 50 Playwrights Project. 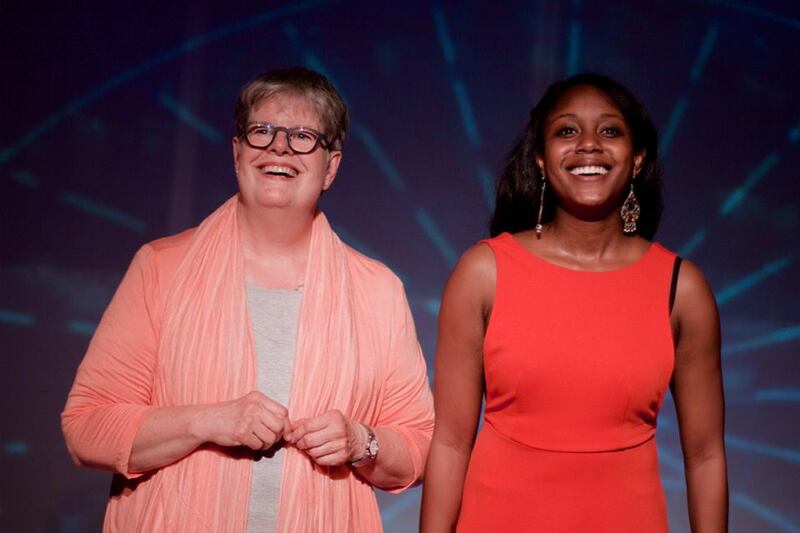 ​q u e r e n c i a: an imagined autobiography about forbidden fruits was named 1 of 15 finalists, from a pool of 606 submissions, for the American Blues Theater's 2018 Blue Ink Playwriting Award. 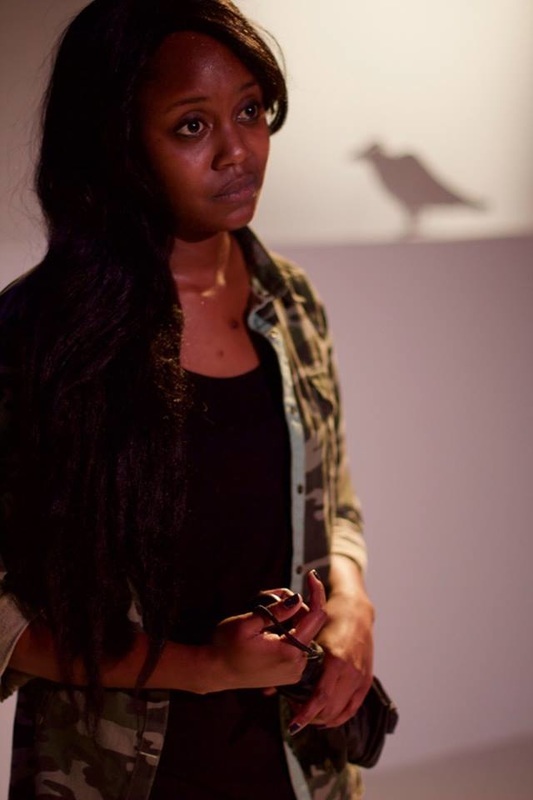 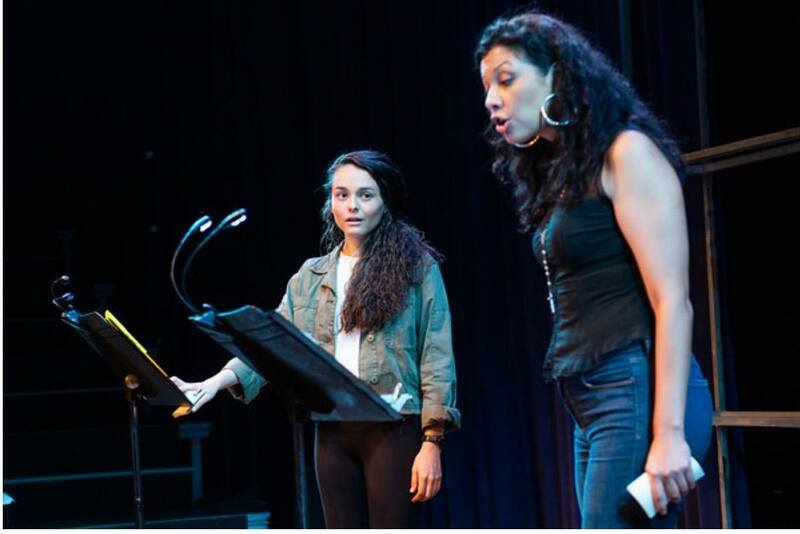 q u e r e n c i a: an imagined autobiography about forbidden fruits was 1 of 3 plays selected from a pool of over 450 submissions for the inaugural Scratchpad Series at The Playwrights Realm. The workshop culminated in a reading directed by David Mendizábal on on Friday, January 12, 2018 at 3:00pm at 305 W. 38th Street, studio #206 (New Ripley Grier 38th St. spaces). 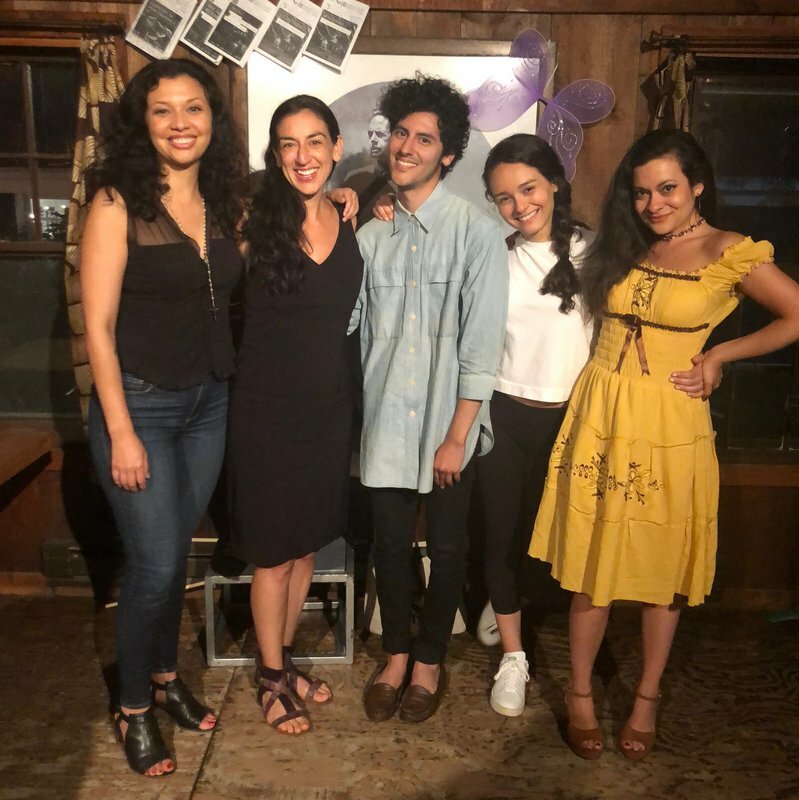 The cast was Fernando Gonzalez (Milo), Teresa Avia Lim (Zoe), Vivia Font (Mama Fe), Christina Nieves (Tia Netta), and Judith Delgado (La Bruja). 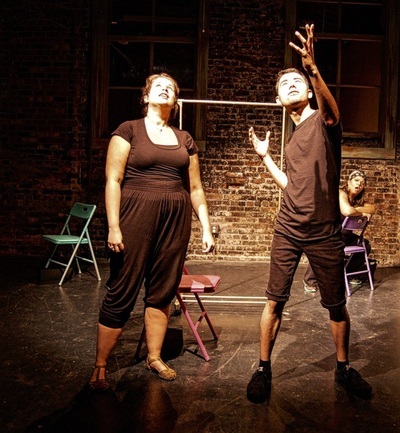 Benjamin was named 1 of 16 semifinalists, from a pool of 400 applicants, for the 2018 P73 Playwriting Fellowship. 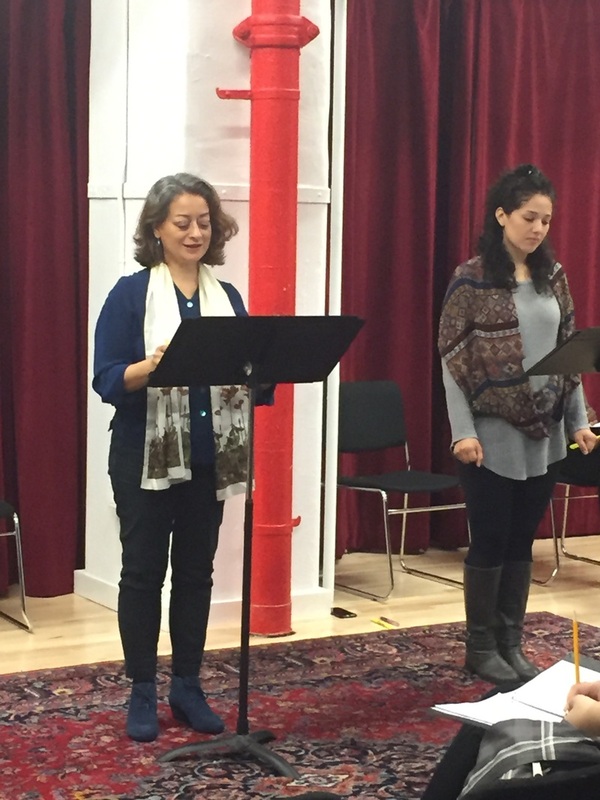 at the very bottom of a body of water was presented as a reading following a workshop at The Playwrights' Center on December 8, 2017. The reading was directed by Marcela Lorca and featured Nora Montañez Patterson, Masanari Kawahara, Momoko Tanno, Cristina Castro, and Julia Gay. 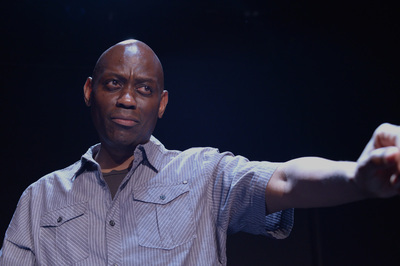 ​An interview with Benjamin was posted to The Playwrights' Center website. 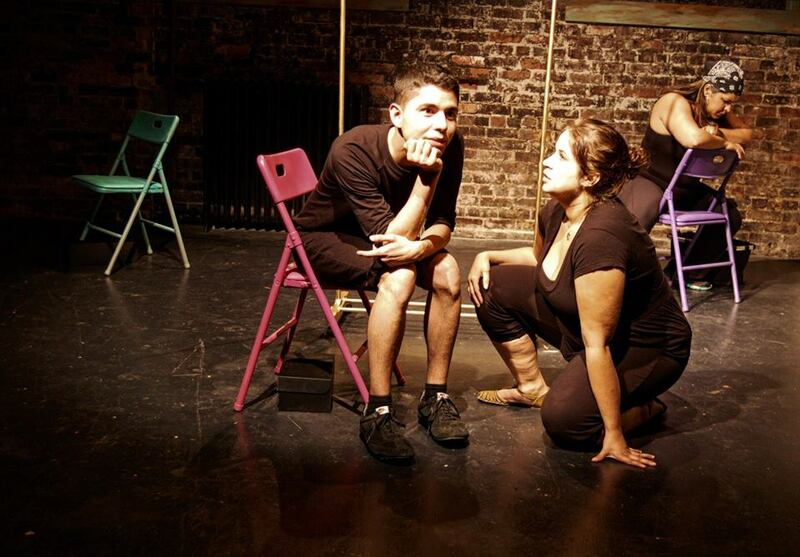 An excerpt from Benjamin's play #nowall was featured in City Arts Magazine's December 2017 issue. 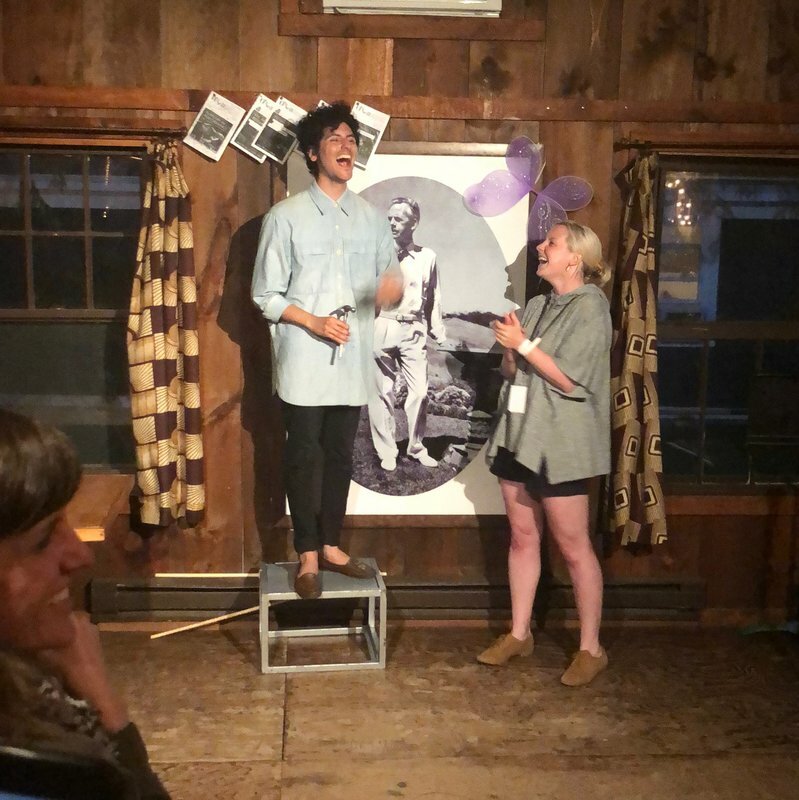 Benjamin is a winner of the 2017 Robert Chesley/Victor Bumbalo Playwriting Award and has been awarded a residency through the Wurlitzer Foundation in Taos, NM. 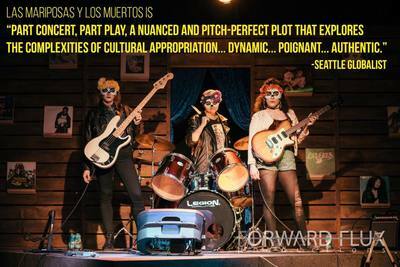 las mariposas Y los muertos was presented at West of Lenin in Seattle, WA on September 19 – October 7, 2017. Featuring Original Music and Lyrics by Angela Citlali Vance. 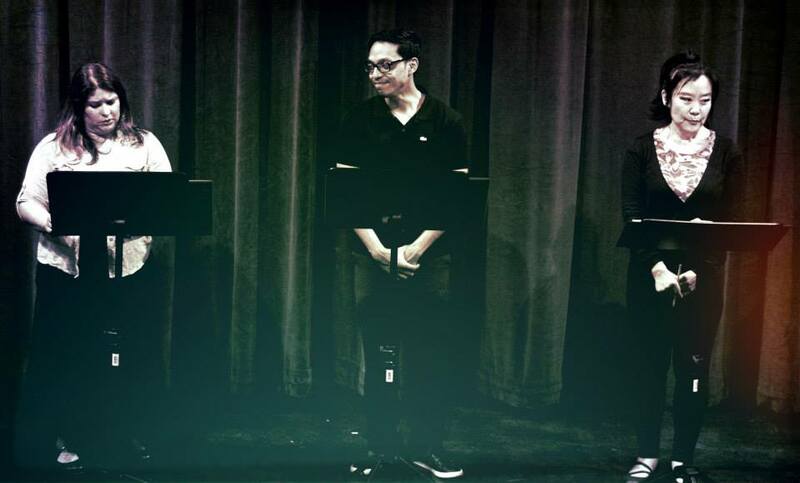 q u e r e n c i a: an imagined autobiography about forbidden fruits was presented as a staged reading as part of the eSe Teatro curated Construction Zone at A Contemporary Theatre in Seattle, WA on September 29, 2017. 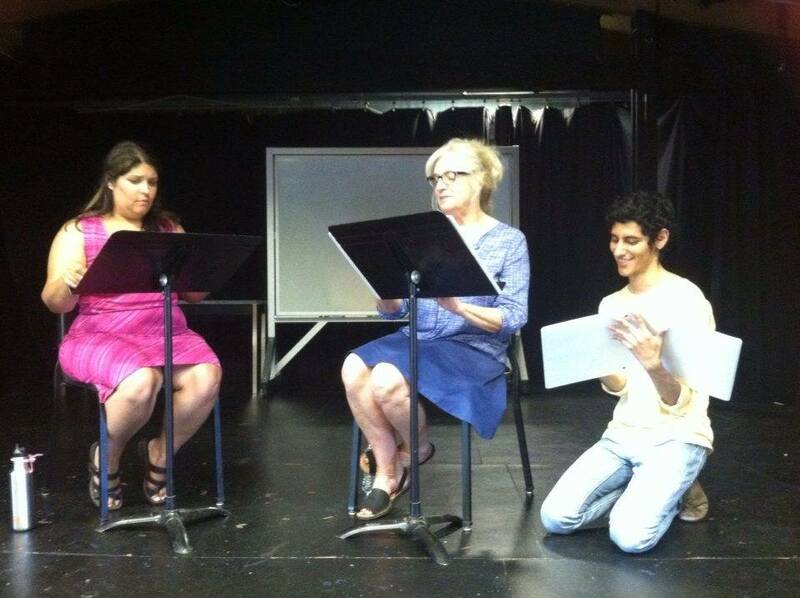 ​The reading was directed by Pilar O'Connell and assistant directed by Gavin Reub. with Gemma Wilson about las mariposas Y los muertos in the September 2017 issue of City Arts Magazine. 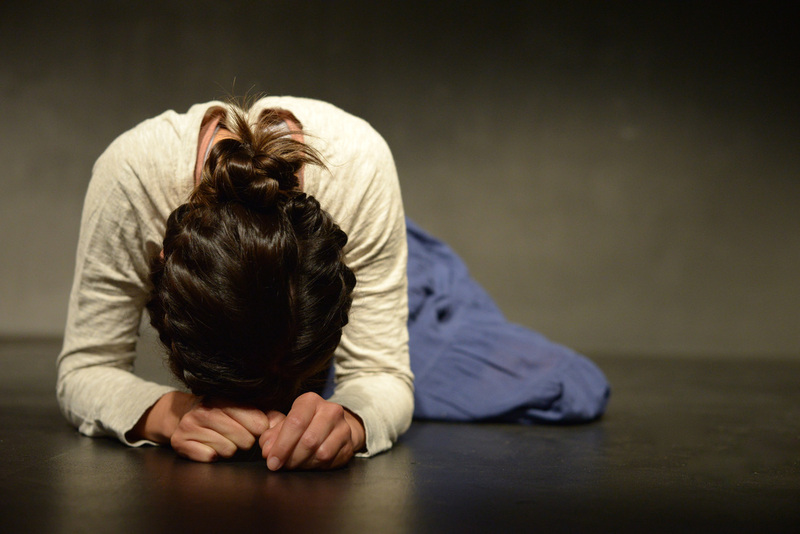 the night, sín stars (now #nowall) was a semi-finalist (top 51 of 260 submissions) for the 2017 Princess Grace Award. 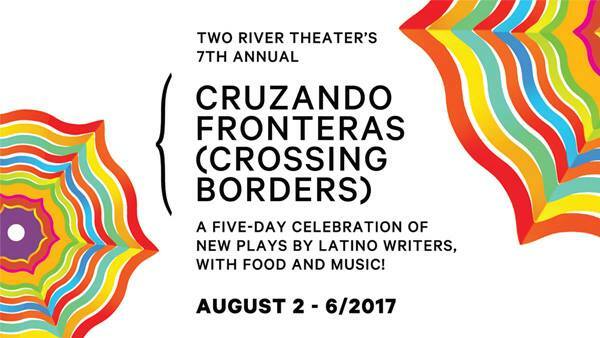 at the very bottom of a body of water was presented as a staged reading at Two River Theater's 2017 Crossing Borders (Cruzando Fronteras) Festival in Red Bank, NJ on Friday, August 4th at 7:30pm. 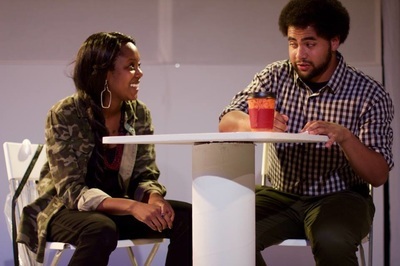 The reading was directed by Weyni Mengesha. q u e r e n c i a: an imagined autobiography about forbidden fruits is the runner-up for Arizona Theatre Company's 2017 National Latino Playwriting Award. Benjamin Benne is a 2017-18 McKnight Fellow in Playwriting at the Playwrights' Center. ​with Trevor Boffone of 50 Playwrights Project. 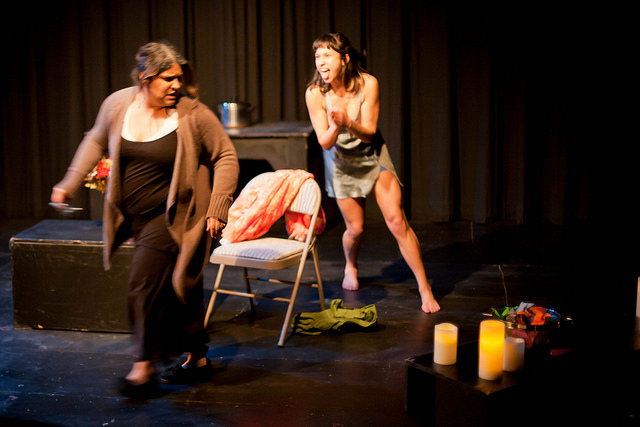 ​with Jelisa Jay Robinson of #TEATROLATINEGRO. q u e r e n c i a: an imagined autobiography about forbidden fruits is a 2017 Bay Area Playwrights Festival finalist (top 25 of over 500 submissions). q u e r e n c i a: an imagined autobiography about forbidden fruits is a 2017 O'Neill National Playwrights Conference finalist (top 55 of 1300 submissions). 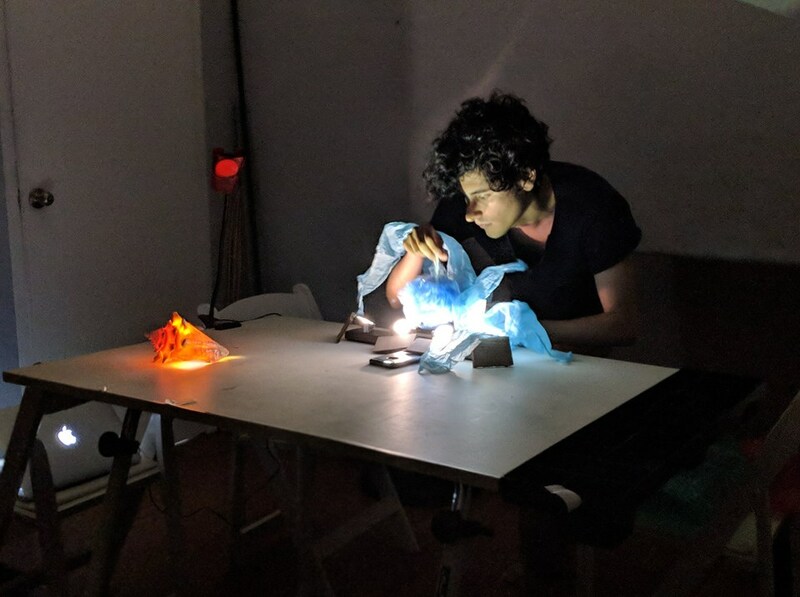 ​At the PWC this week: Benjamin Benne. The Playwrights' Center interview with 2016-17 Many Voices Fellow Benjamin Benne. The play formerly known as the night, sans stars received its first reading with the new title #nowall with Wild Atlas in Chicago, IL on April 30, 2017. The reading was directed by Jazmin Corona. 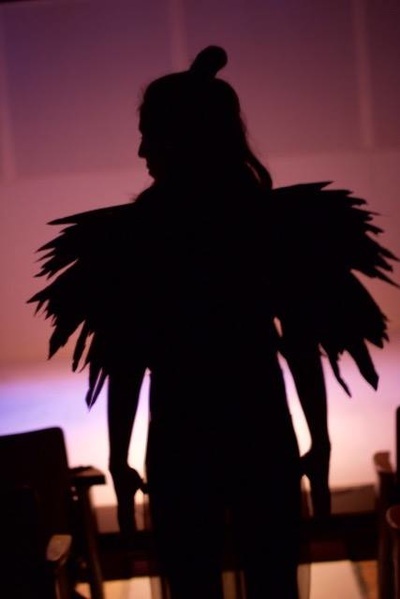 *The role of ANGEL was modified to non-binary for this presentation. Special thanks to Avi for their guidance in this process. 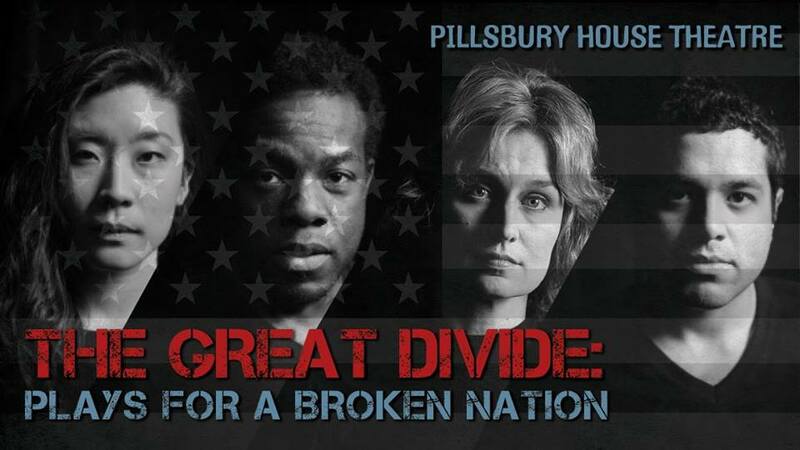 Benjamin was 1 of 5 playwrights commissioned to write a short play for Pillsbury House Theatre's mainstage production of The Great Divide: Plays for a Broken Nation, which ran from April 19-30, 2017. 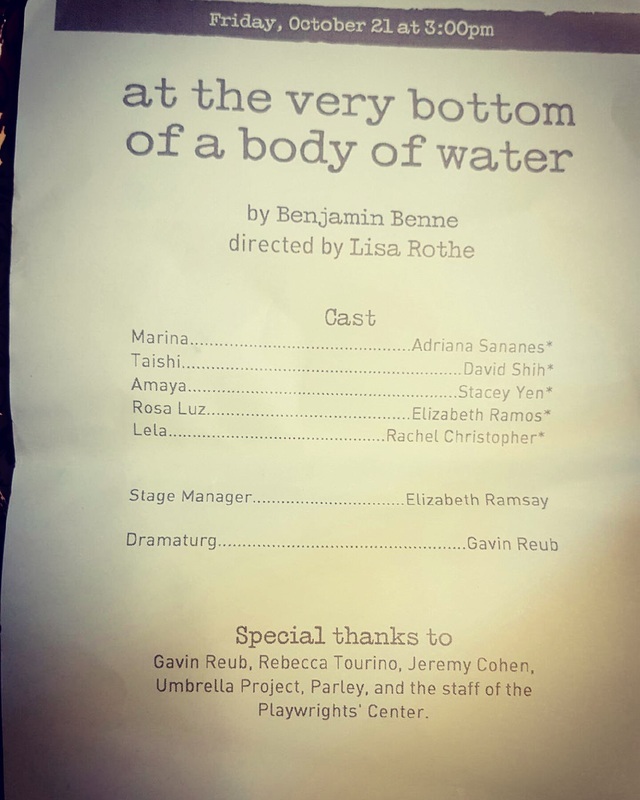 Benjamin's play, I Hate To Burst Your Bubble #sorrynotsorry, was included with others by Alan Berks, Christina M. Ham, Katie Ka Vang, and James A. Williams. The cast was Tracey Maloney, Audrey Park, Mikell Sapp, and Ricardo Vazquez. 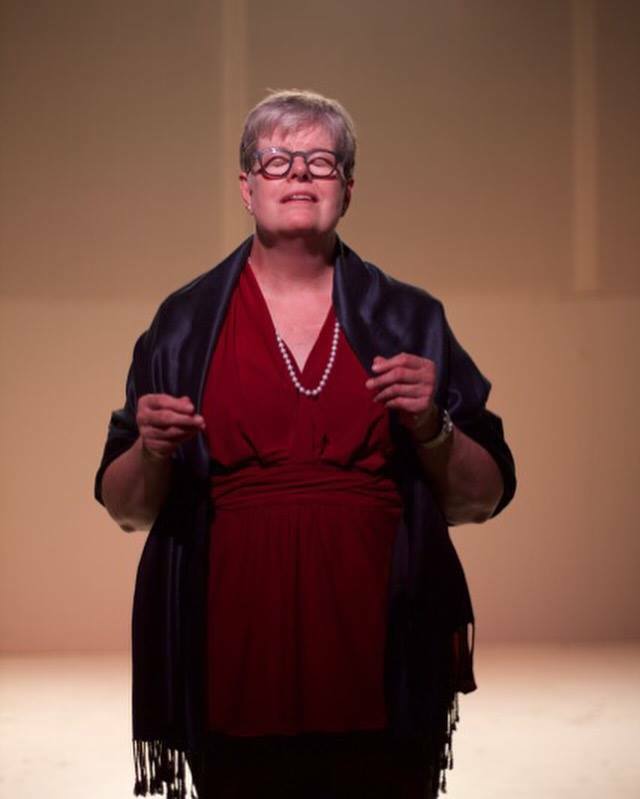 The production was directed by Ellen Fenster. 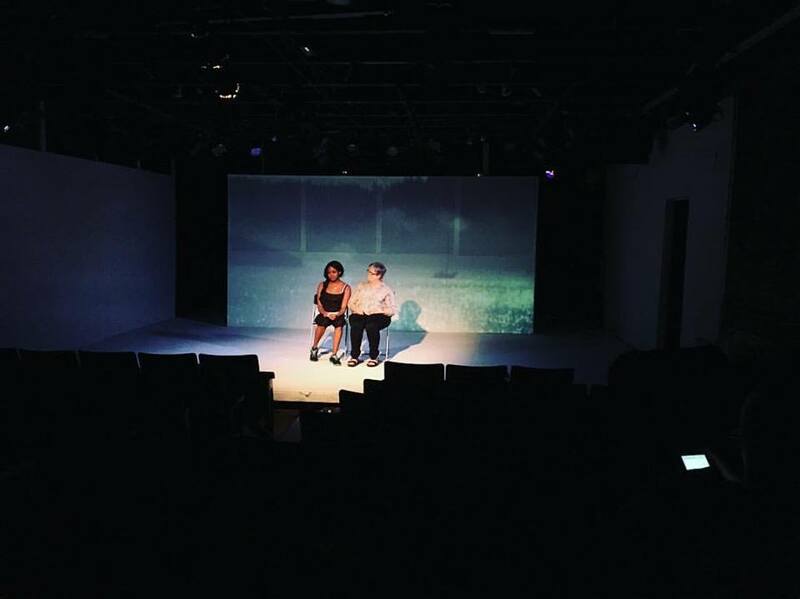 at the very bottom of a body of water is an Austin Playhouse 2017 New Play Festival finalist (top 10 of 700 submissions). 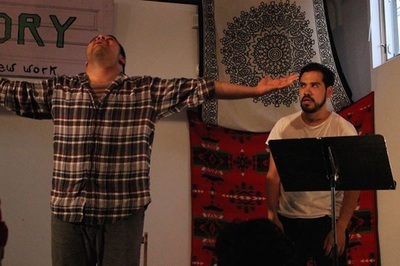 What \ Washed Ashore / Astray was presented as part of Upstream Artists' Collective's Elemental Play Reading Series at Jimmy's No. 43 (NYC) on April 2 at 12pm. 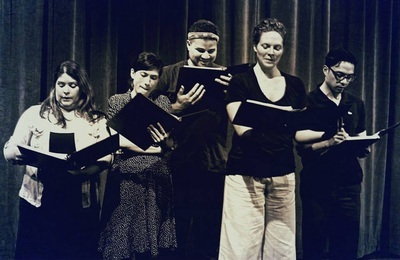 The reading was directed by Elena Araoz. 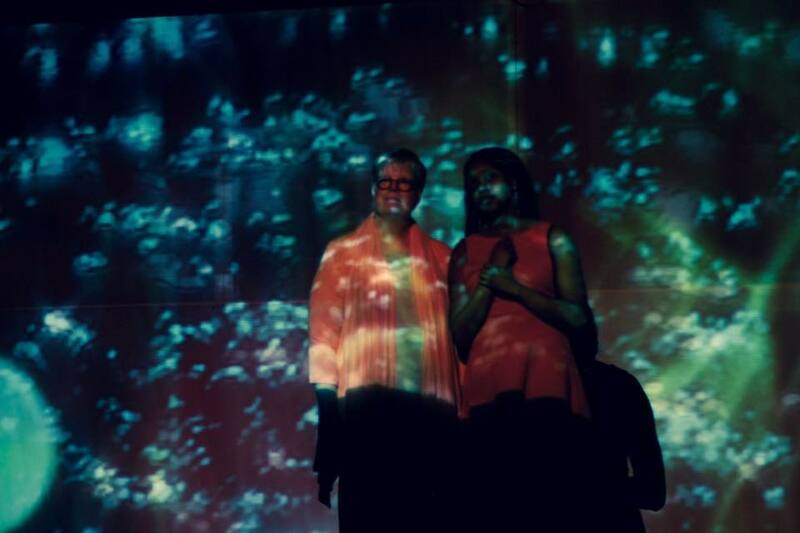 q u e r e n c i a: an imagined autobiography about forbidden fruits was presented as part of The Joust Workshop Series 2017 at Nuyorican Poets Cafe (NYC) on March 31 and April 1 at 7pm. 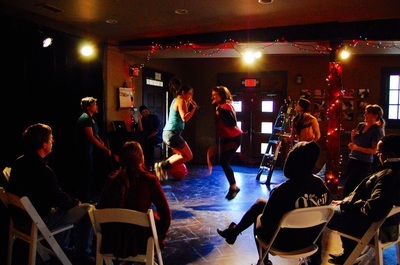 The workshop was directed by Mayde Alpi. the night, sans stars received a public reading as part of Seattle Repertory Theatre's The Other Season on February 27, 2017. ​with Ana Maria Campoy as Consultant. the night, sans stars received a public reading on February 1, 2017. 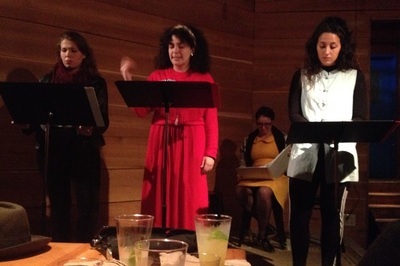 The reading was directed by Hayley Finn. 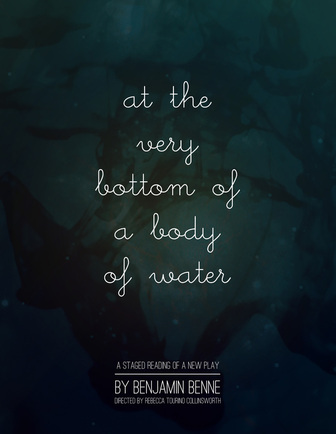 at the very bottom of a body of water was an American Blues Theater 2017 Blue Ink Playwriting Award semi-finalist (top 25 of 543 submissions). 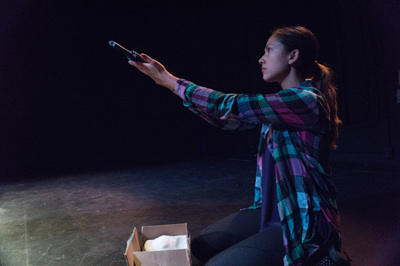 A dramatic experiment titled Time Expires was presented at The Horse In Motion's IRL Series. 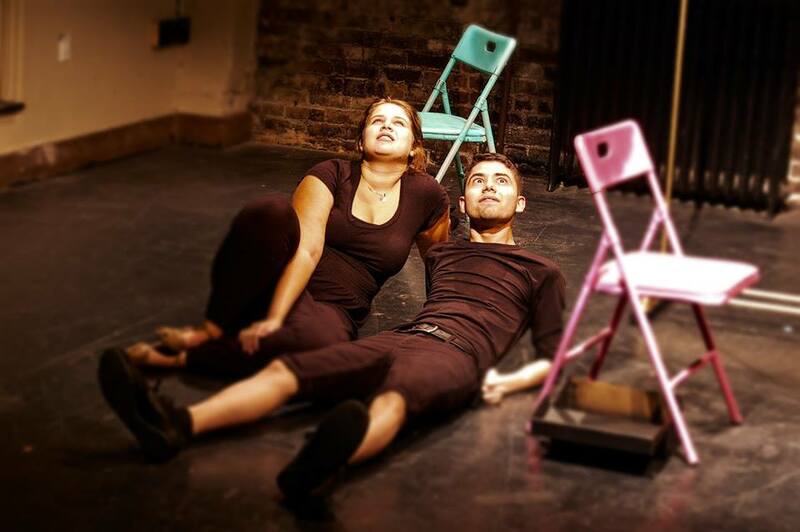 The subject of the piece is Craiglist: Politics and it was directed by Kaytlin McIntyre. 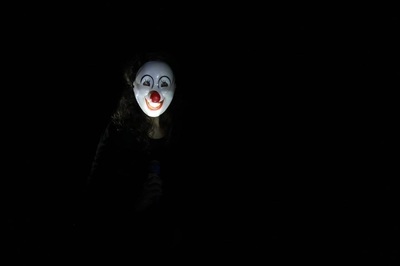 The VOICES were performed by Kiki Abba, Nic Morden, Sophie Franco, and Bob Williams. 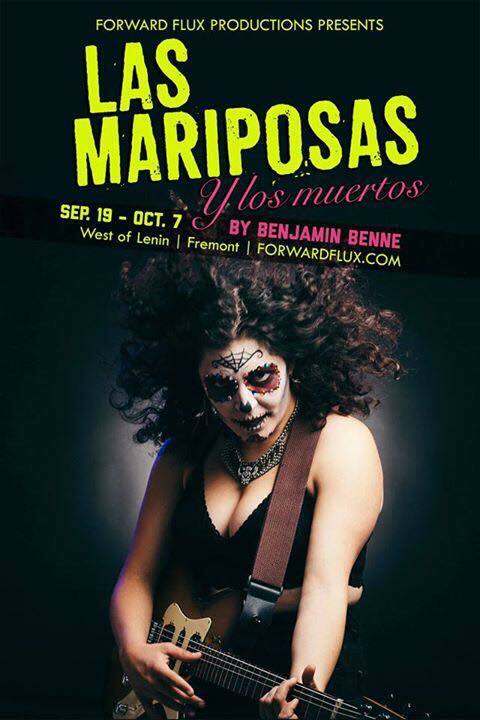 The piece was presented at The Northwest Film Forum (Seattle, WA) on November 18 & 19, 2016.
las mariposas Y los muertos was presented at The Flux Salon XVI at Casco Antiguo on November 1st, 2016. 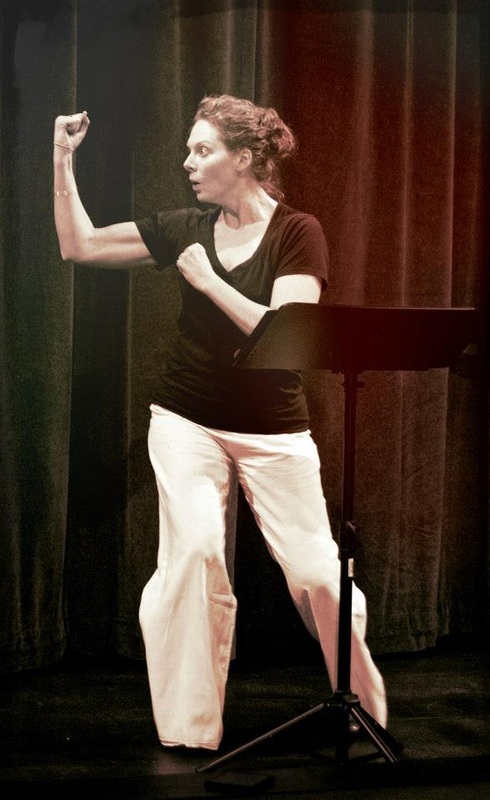 The workshop/reading was directed by Pilar O'Connell. ​X Digital Magazine: Benjamin Benne on cultural appropriation. 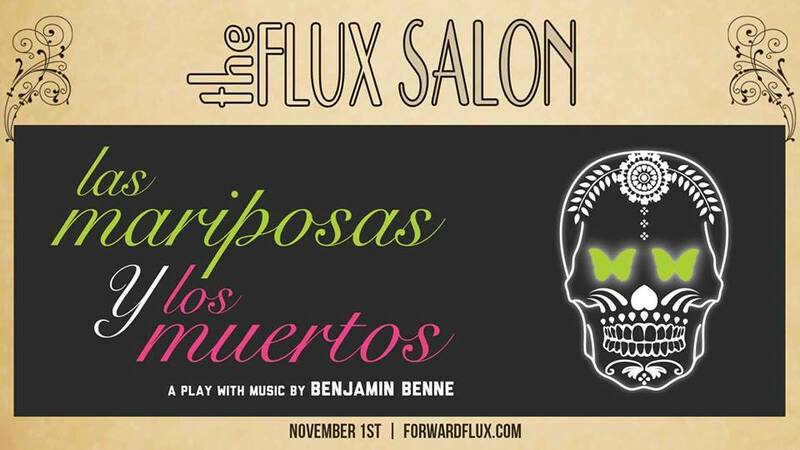 Forward Flux Productions Artistic Director Wesley Fruge and Flux Salon guest director Pilar O'Connell interview Benjamin Benne about his commissioned play las mariposas Y los muertos that was presented at The Flux Salon XVI. 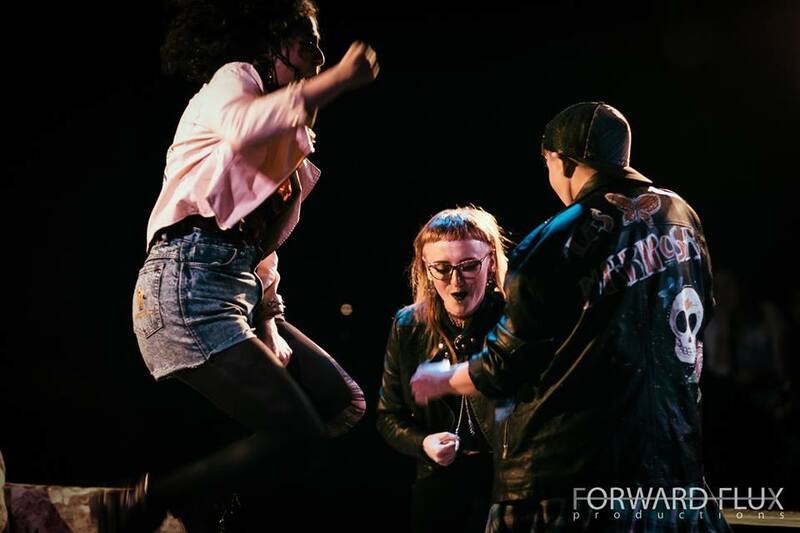 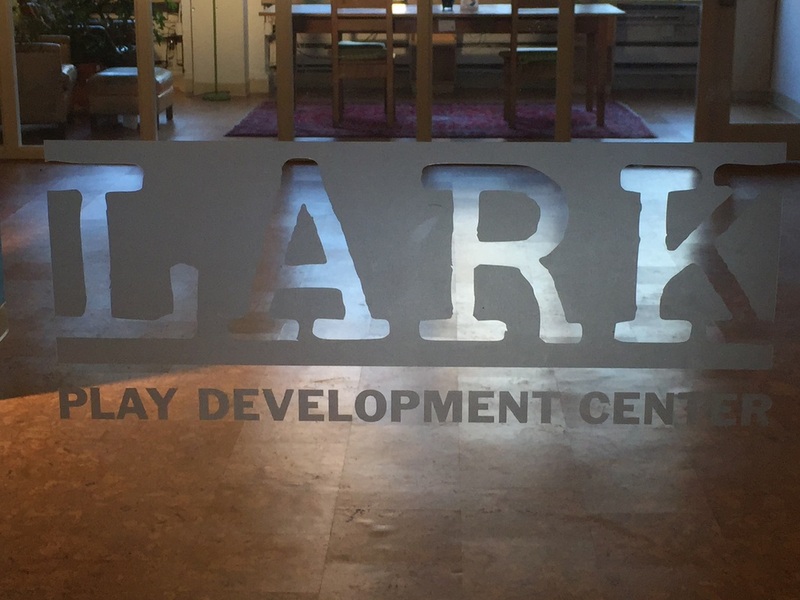 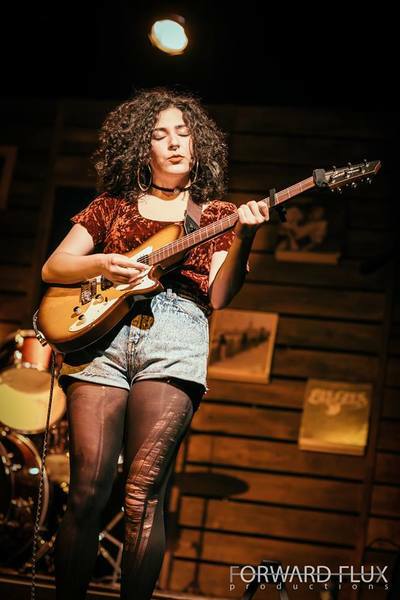 ﻿Out of a pool of over 1200 submissions, at the very bottom of a body of water was one of six plays selected for the 23rd Annual Playwrights' Week at The Lark. 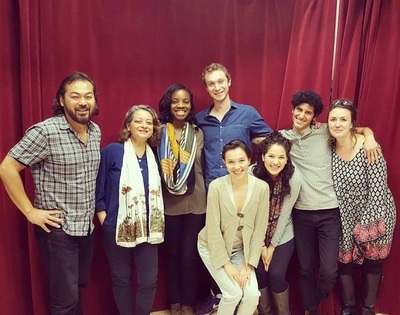 ​The play was presented as a staged reading on Friday, October 21, 2016.
and dramaturged by Gavin Reub. 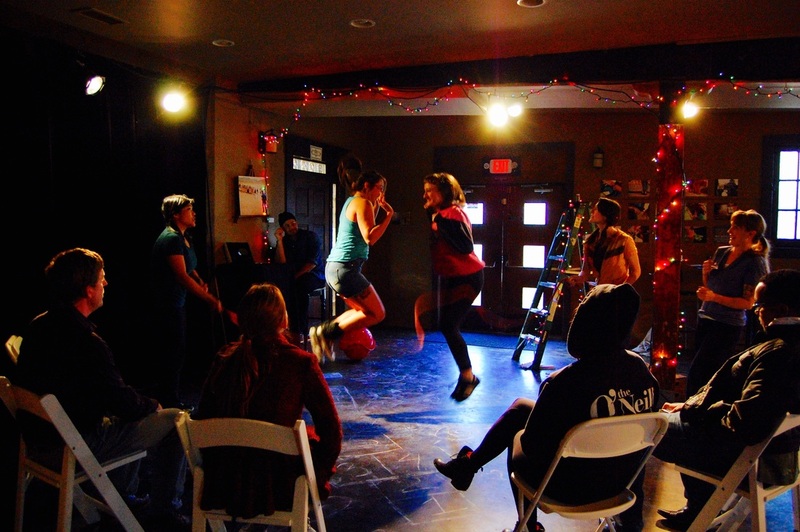 ​Meet the Writers: Playwrights' Week 2016. 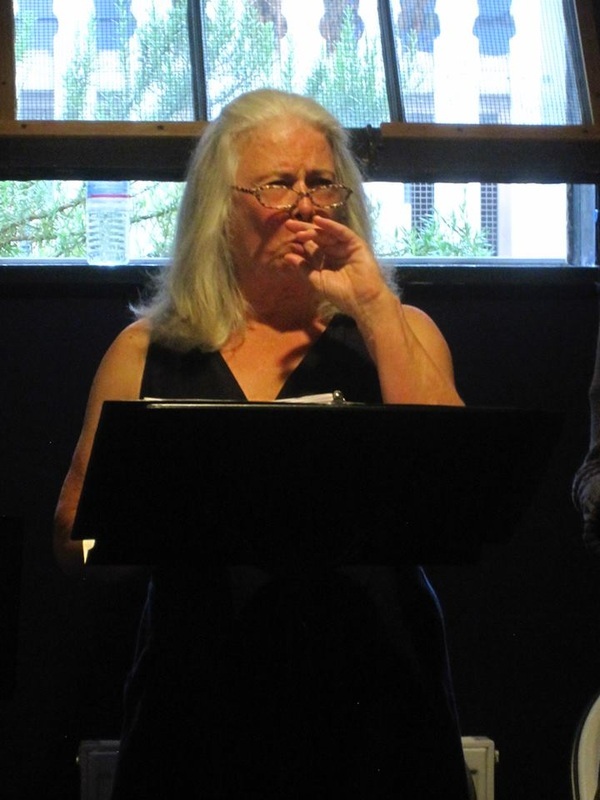 Beth Blickers interviews the playwrights (including Benjamin Benne) about their plays selected for Playwrights' Week 2016 at The Lark. 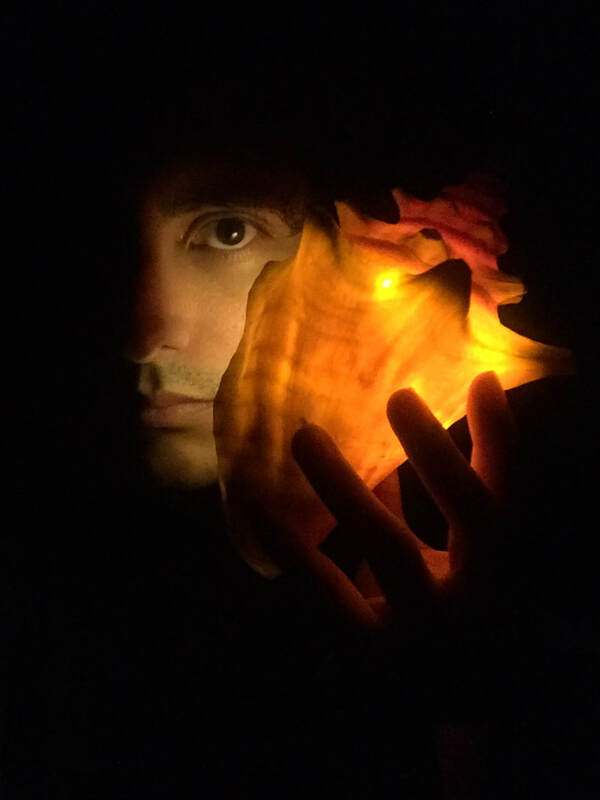 ​A Closer Look: Benjamin Benne. 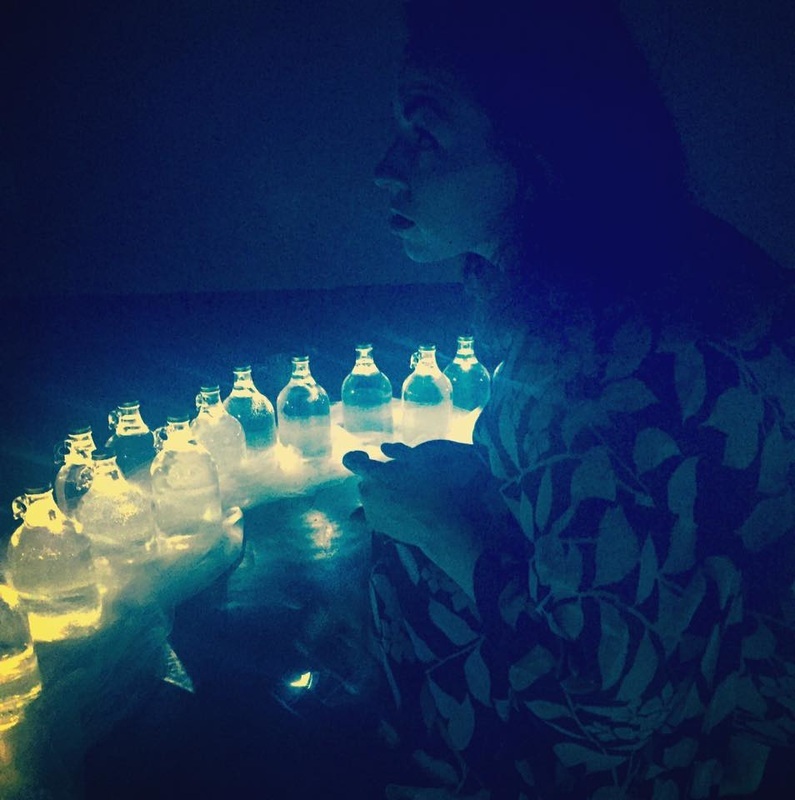 Playwright Claire Kiechel interviews Benjamin Benne about his play at the very bottom of a body of water in preparation for Playwrights' Week 2016 at The Lark. 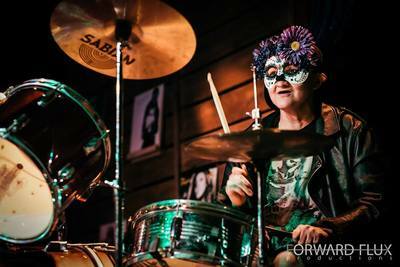 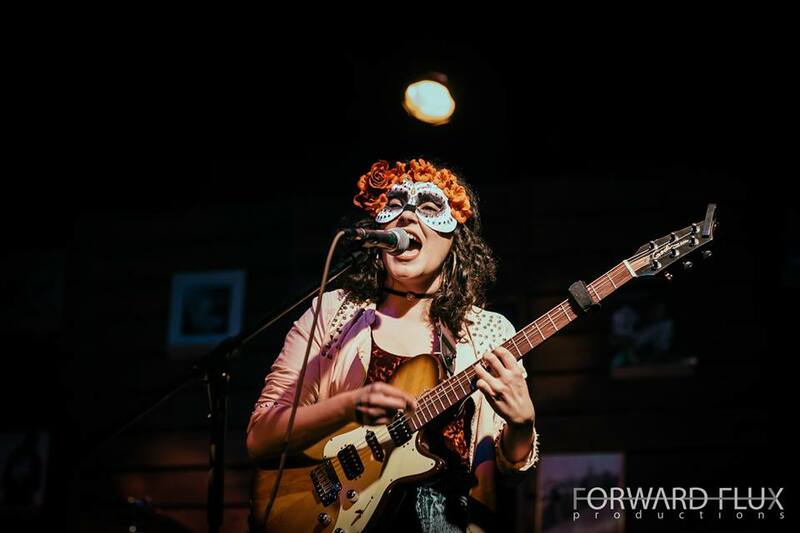 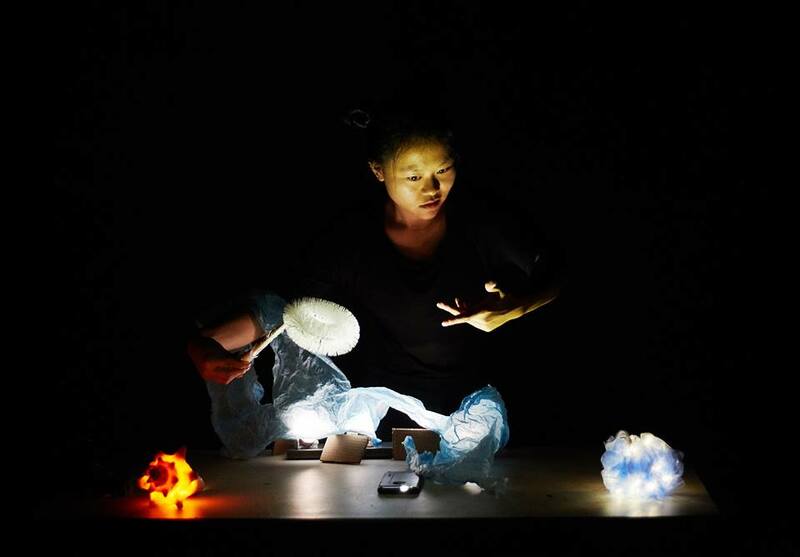 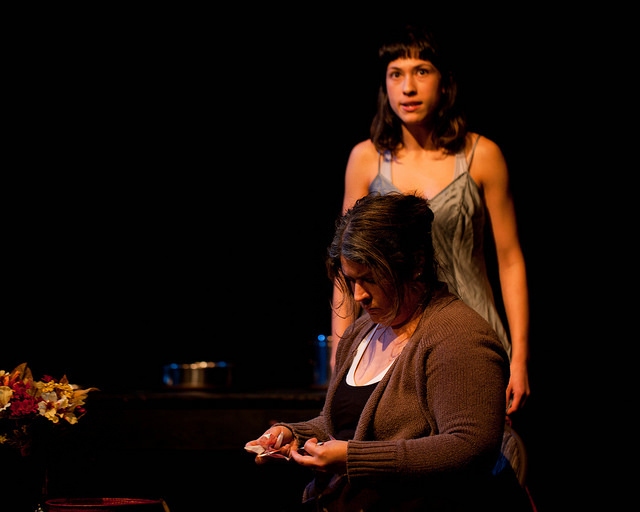 ​of Terra Incognita at Annex Theatre by Mark Baumgarten at Seattle Weekly. 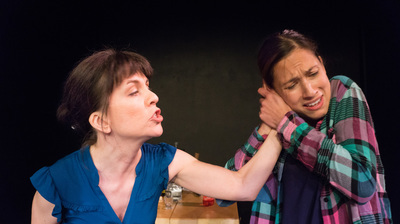 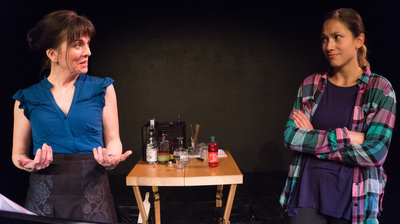 ​of Terra Incognita at Annex Theatre by Nancy Worssam at Arts Stage. ​of Terra Incognita at Annex Theatre by Dusty Somers at The Seattle Times. 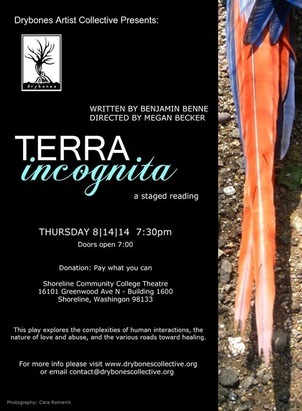 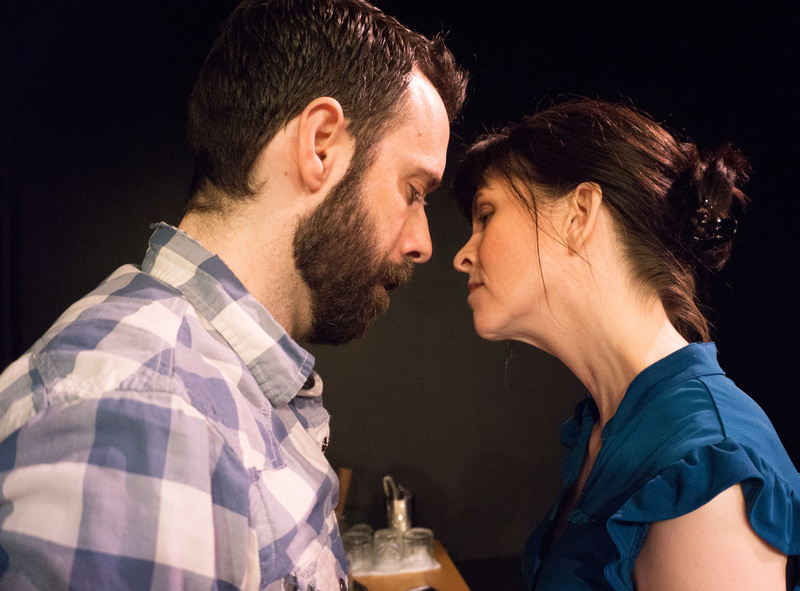 ​of Terra Incognita at Annex Theatre by Miriam Gordon. 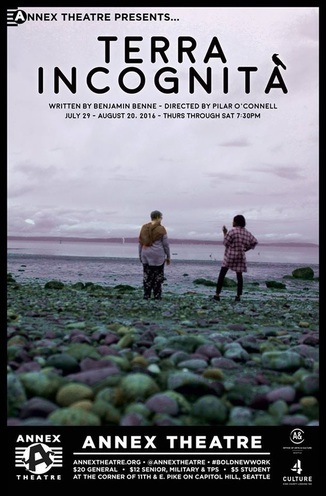 ﻿ ﻿Terra Incognita was produced by Annex Theatre as part of their 29th Season. It ran from ​July 29 - August 20, 2016. 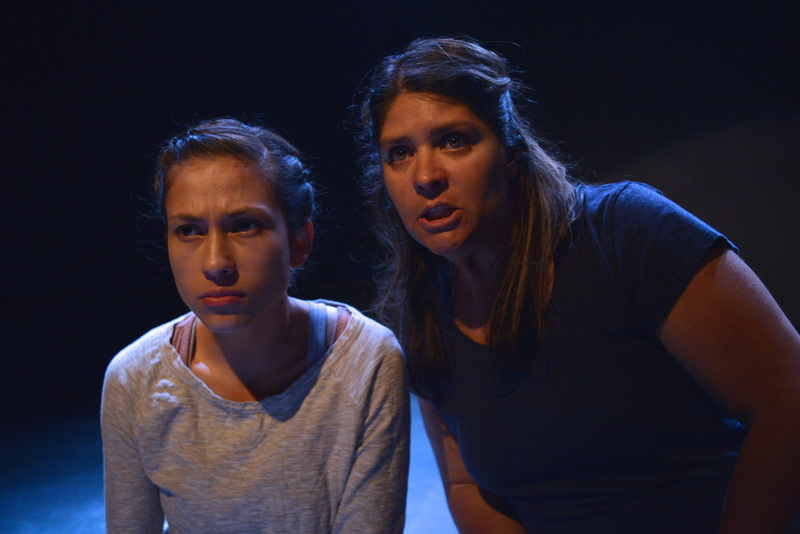 ​with Katie Woodzich of Theatrical Mustang Podcast. at the very bottom of a body of water was presented at the inaugural First Look by Umbrella Project at 12th Avenue Arts in Seattle, WA on July 25, 2016. 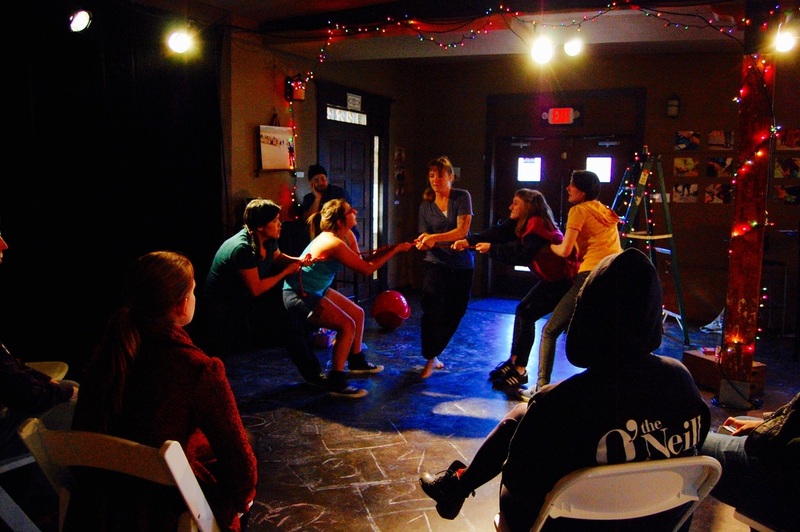 The workshop/staged reading was directed by Victor Pappas, dramagturged by Gavin Reub, and produced by Erin Bednarz. 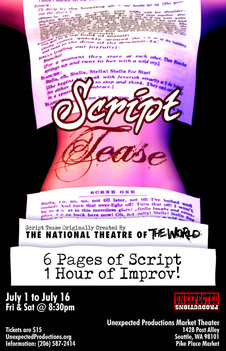 Ben was the featured playwright on July 1 & 2, 2016 for Unexpected Productions' Script Tease. 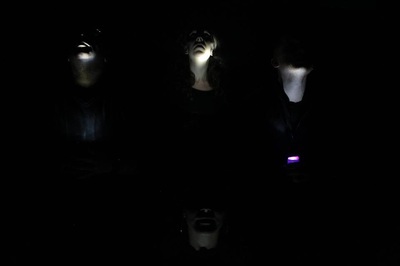 The script samples utilized were The Unclean Fowl and I Do, Antarctica, I Do. The director was Catherine Blake Smith. 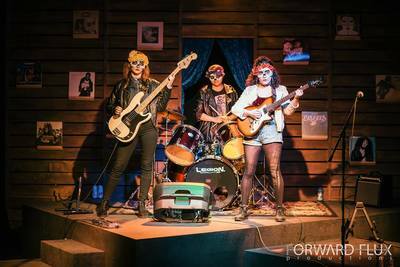 ​TRUMP'D was presented as a workshop production by Parley at West of Lenin in Seattle, WA on May 17, 2016. The reading was directed by Rebecca Tourino Collinsworth, Founder/Artistic Director of Parley. 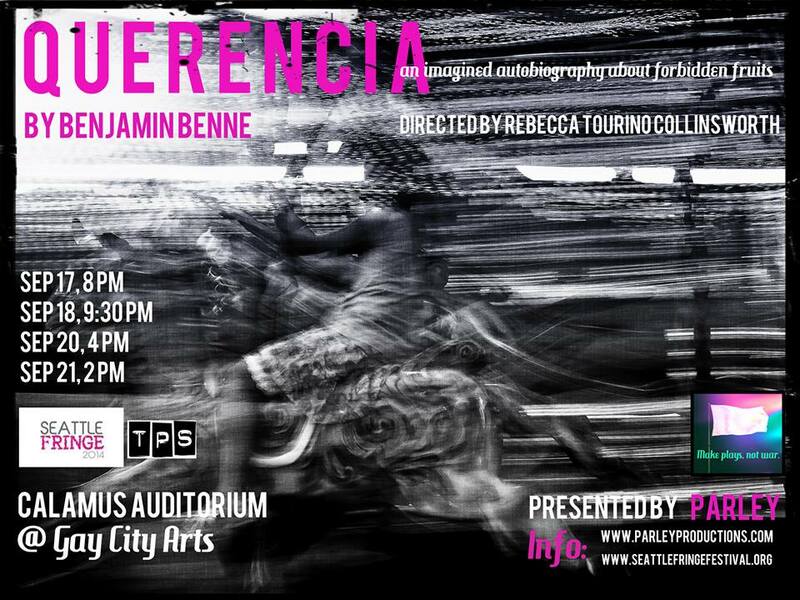 Poster design by Rebecca Tourino Collinsworth. 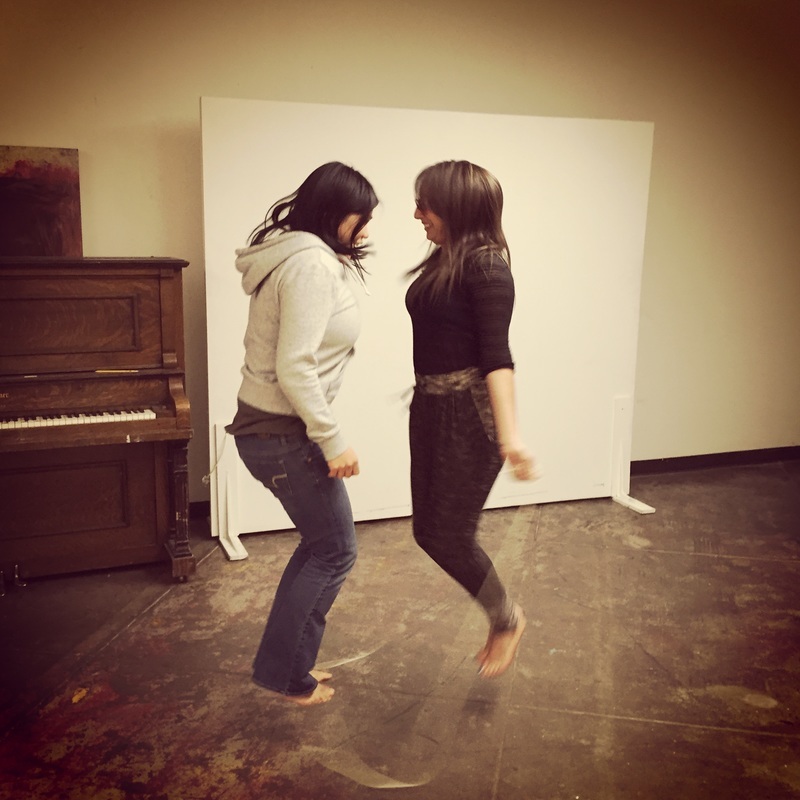 ​Ben participated in the 21-day artist residency, collaborate:create. He wrote a piece titled Doris that was performed by Chelsea DuVall. 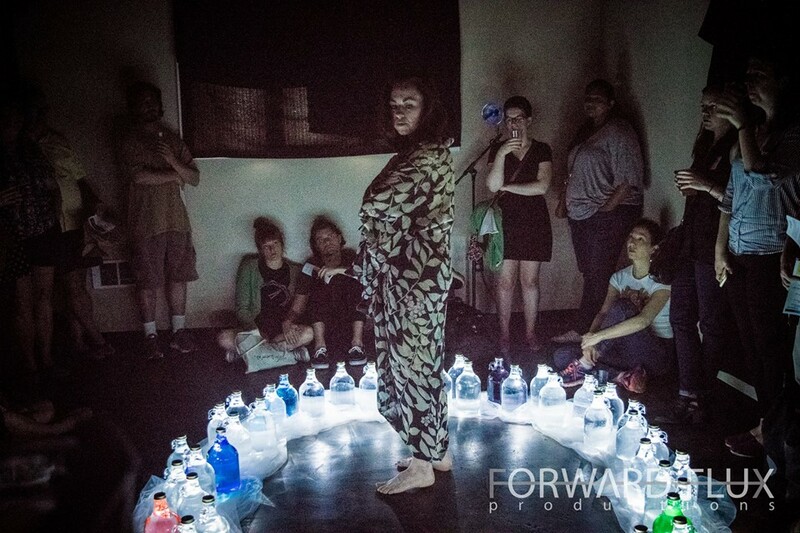 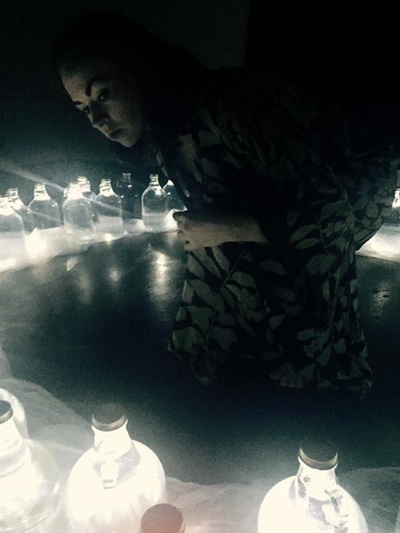 The performance shared space with an art installation called "Confessional Elixirs" by Elise Koncsek and Jesse Card. The art exhibition took place at Fremont Abbey on April 20, 2016. 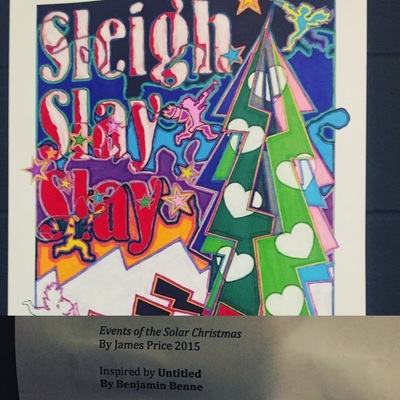 Ben wrote a short [untitled] play that was featured in Playing in Progress' production of SnowGlobed 5.0. 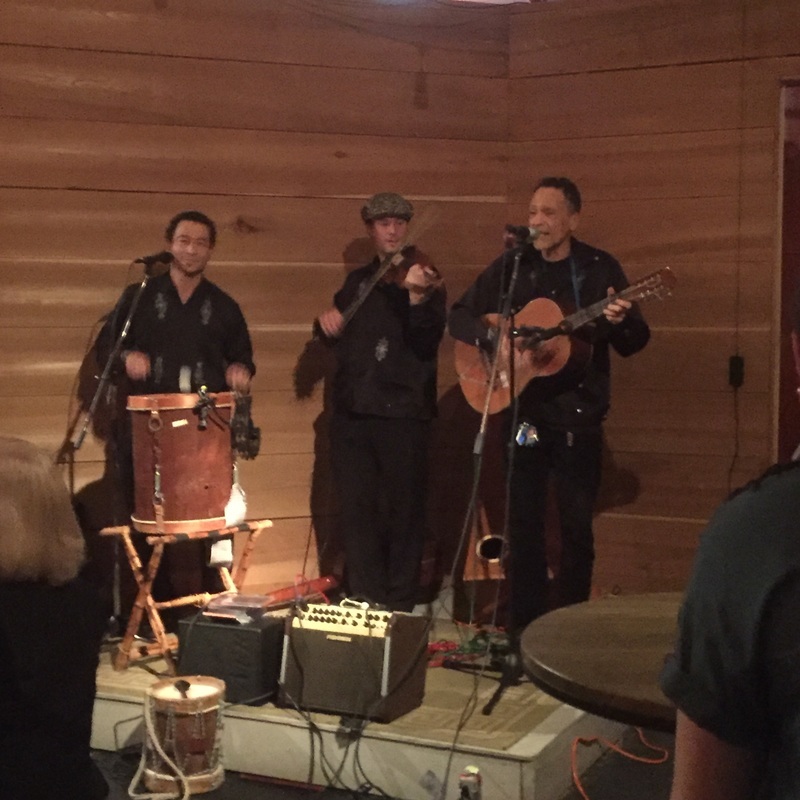 The show ran December 4 - 19, 2015 at West of Lenin (Seattle, WA). 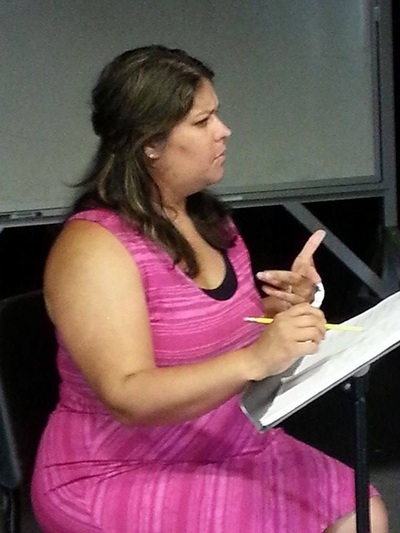 The show was directed by Emily Penick. 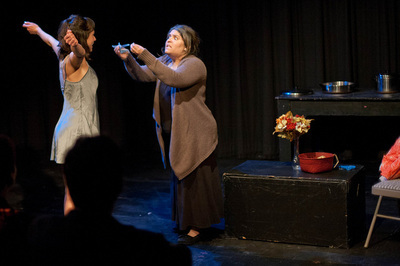 The show received a recommendation from The Stranger. Additionally, in the lobby, were two visual art pieces by Keiko Green and James Price that were inspired by Ben's play. 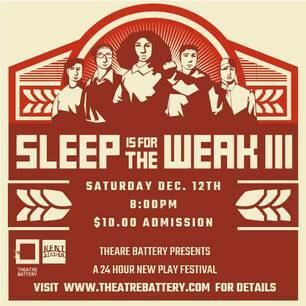 ​Ben participated in Theatre Battery's Sleep Is For The Weak III. 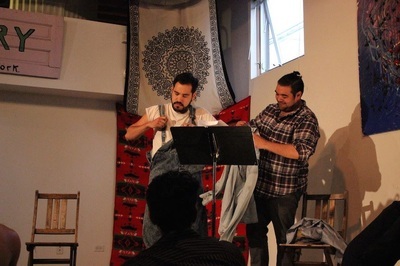 He received the challenge to write an adaptation of an existing story that has not been told through theater at 8pm on December 11, 2015. 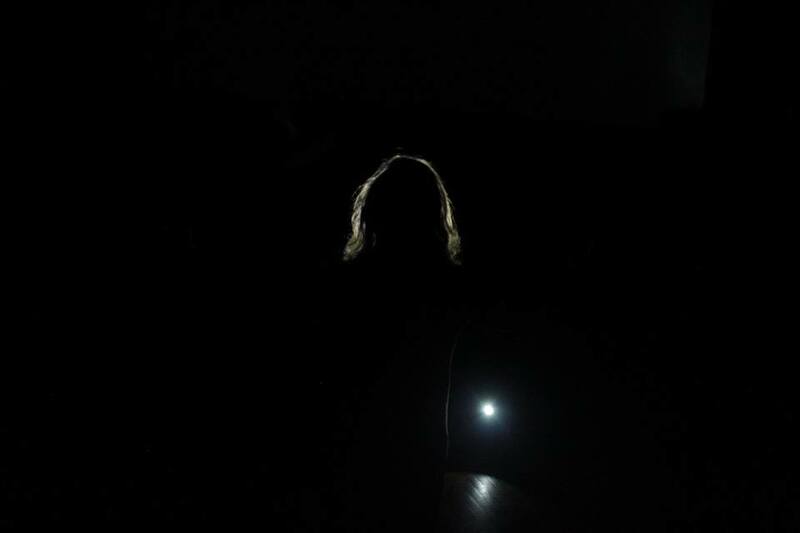 He adapted Julio Cortazar's short story, The Night Face Up. 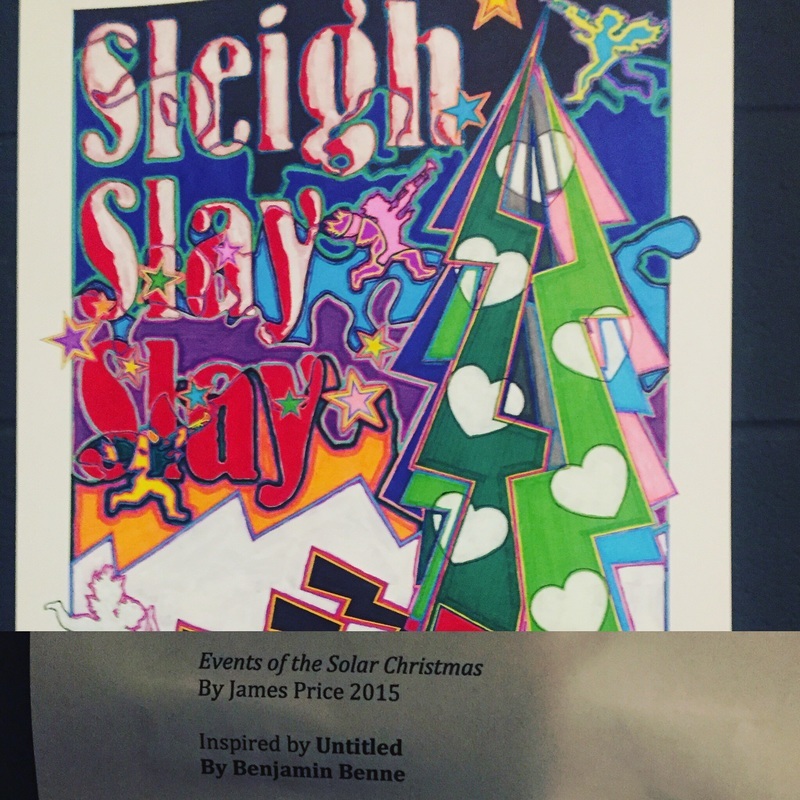 The final presentation was at Theatre Battery in Kent on December 12, 2015 at 8:00pm. 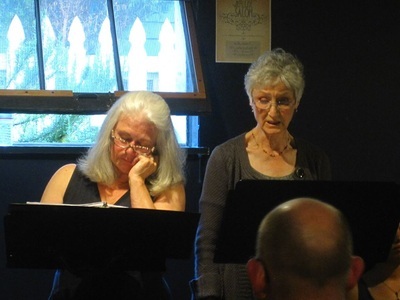 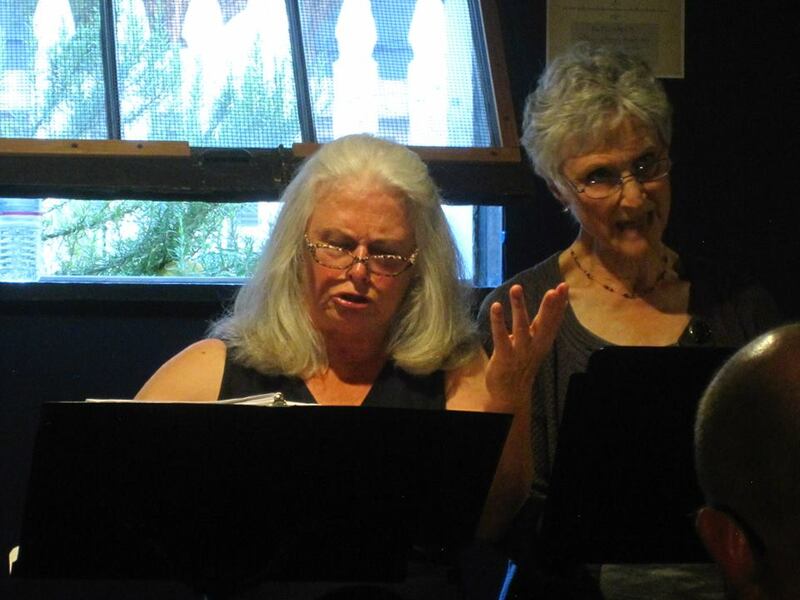 The full-length version of q u e r e n c i a was workshopped and presented as a staged reading as part of Theatre Battery's Battery Powered Series in Kent, WA on July 26, 2015. 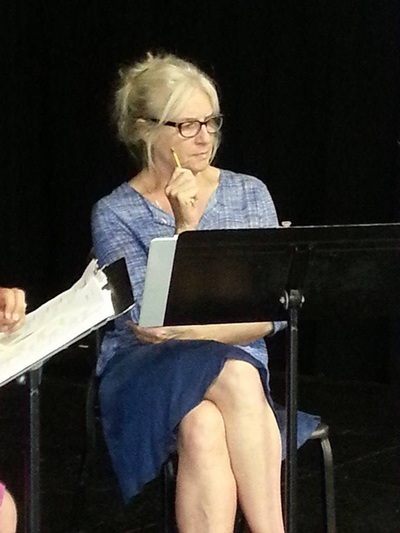 The reading was directed by Rebecca Tourino Collinsworth. *The role of Milo was workshopped by Matt Aguayo and read by Benjamin Benne on the day of the presentation. 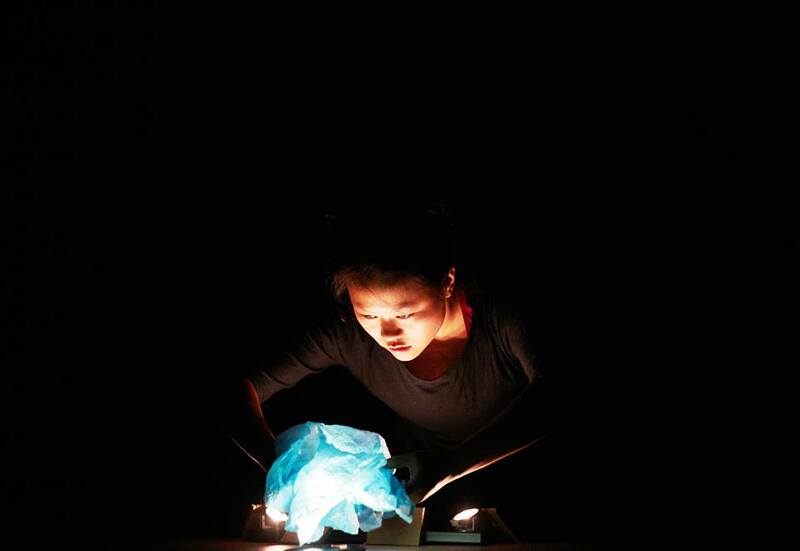 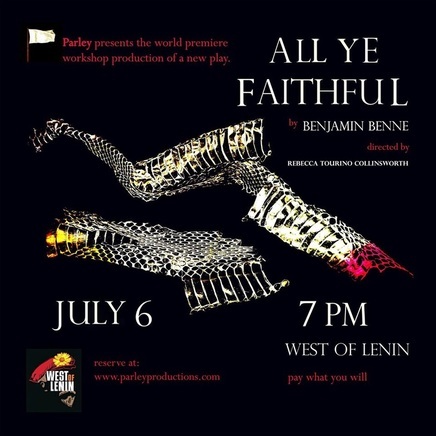 All Ye Faithful was presented as a workshop production by Parley at West of Lenin in Seattle, WA on July 6, 2015. 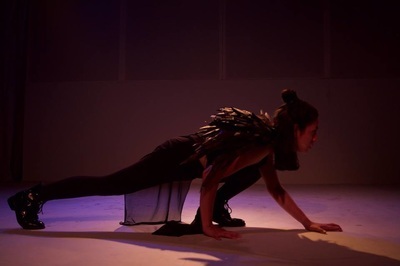 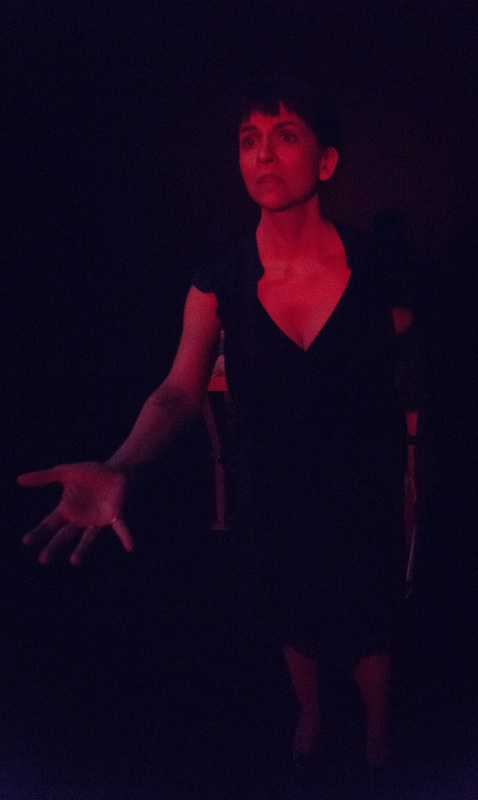 Play/War, a ten-minute play produced by Parley, and Ascension, a dramatic poem, directed by Emma Watt and performed by butoh dancer Sheri Brown and actor Anthony Phillips. 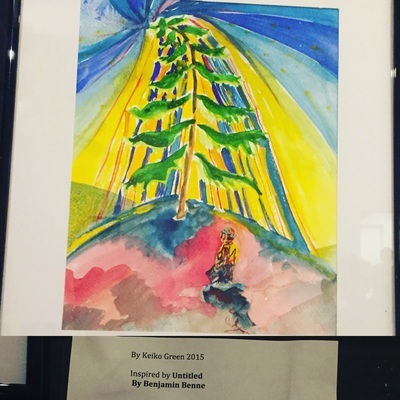 Read a blog article about the event that highlights Ascension. 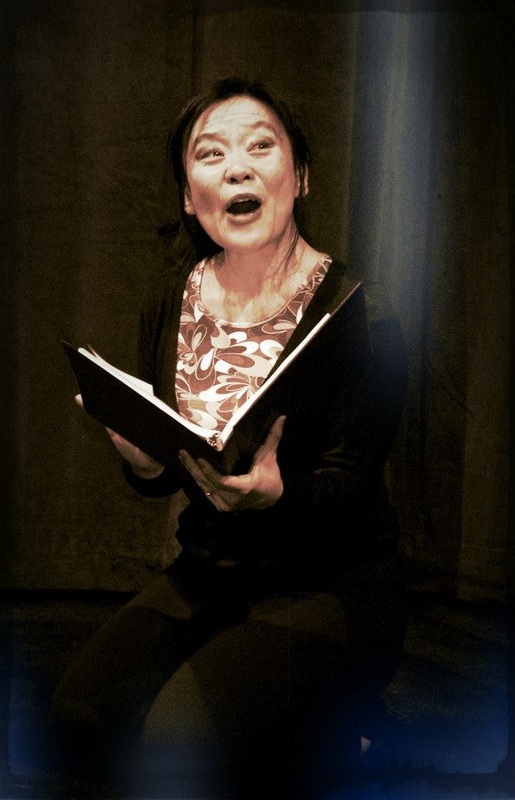 The ten-minute play, the dream of honey (fades), was featured as part of Northwest Playwrights Alliance Reading Series at Seattle Repertory Theatre on February 10, 2015 at 7pm. The reading was directed by Evan Tucker. 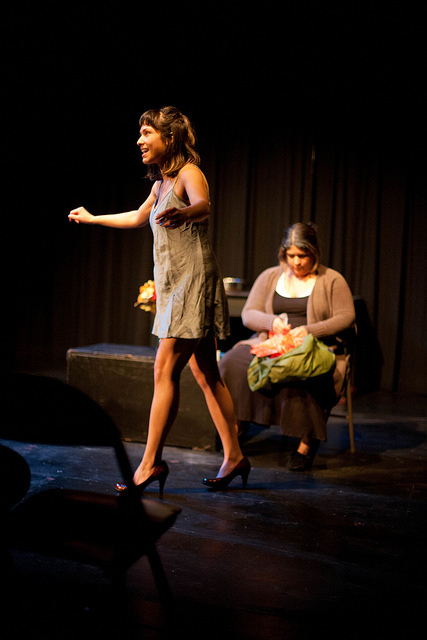 The short play, Blood / Flower, was featured as part of Eclectic Theater's 3rd Annual One-Act Play Fest on June 26 & 27, 2014. 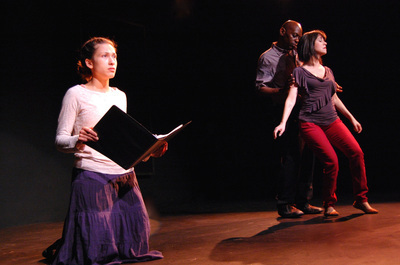 The play was written and directed by Benjamin Benne. q u e r e n c i a: an imagined autobiography about forbidden fruits made its debut in one-act form at the 2014 Seattle Fringe Festival. 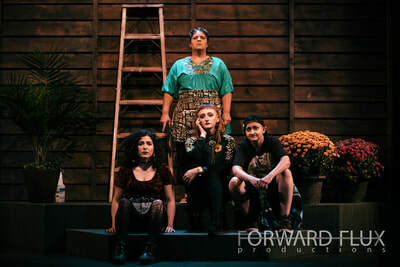 This world premiere production was directed by Rebecca Tourino Collinsworth, Founder/Artistic Director of Parley, at Gay City's Calamus Auditorium. 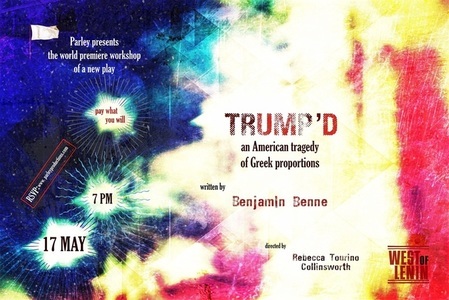 Poster design and production photos by Rebecca Tourino Collinsworth. Capitol Hill Seattle Blog published an article featuring an interview with the playwright. 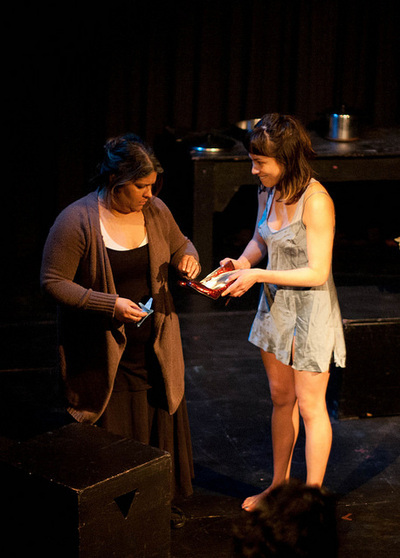 Recipient of the Spirit of the Fringe Award. 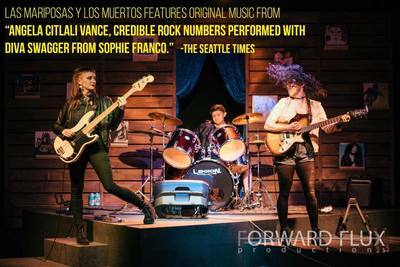 in Shoreline, WA on August 14, 2014. 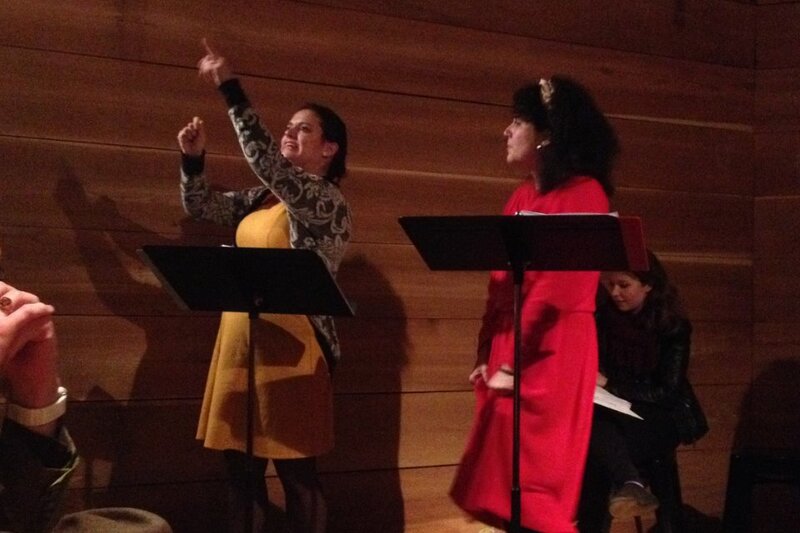 The reading was directed by Megan Becker, Founder/Artistic Director of Drybones Artist Collective. 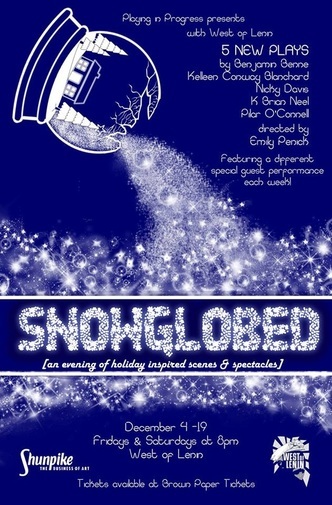 Poster design by Katy Hagelin. Poster photo by Cara Romanik. Rehearsal photos taken by Lillian Afful. What \ Washed Ashore / Astray was presented as a staged reading by Forward Flux Productions in Seattle, WA on July 22, 2014. The reading was directed by Wesley Fruge, Artistic Director of Forward Flux Productions. 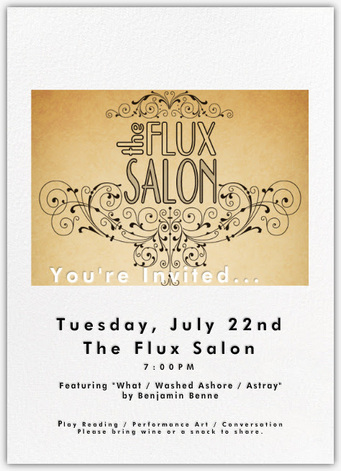 Poster design by Wesley Fruge. 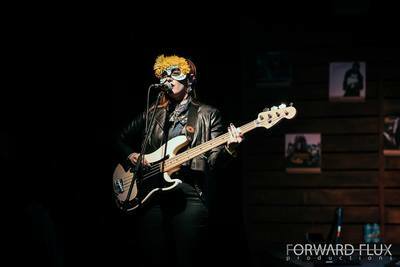 Photos taken by J Reese. at the very bottom of a body of water was presented as a staged reading by Parley at the Center House Theatre in Seattle, WA ​on June 16, 2014. 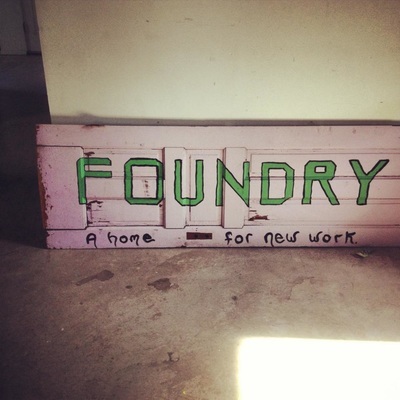 Graphic design by Stephanie Olson. 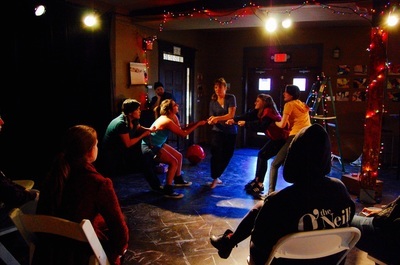 Photos taken by Rebecca Tourino Collinsworth. 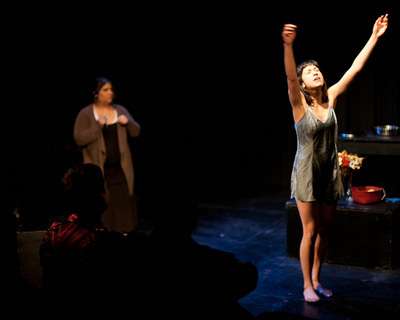 The ten-minute play, the dream of honey (fades), was presented as part of Foundry: A Home For New Work's inaugural event in Chicago, IL on May 26, 2014. 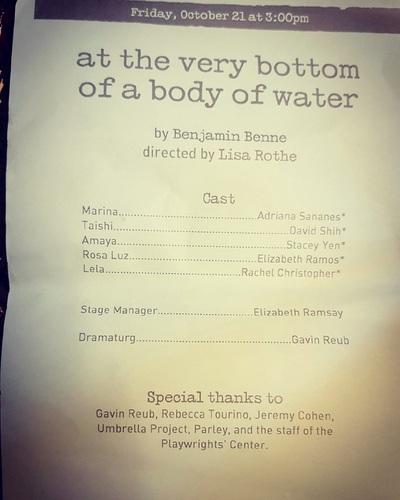 The reading was directed by Braden Coucher. 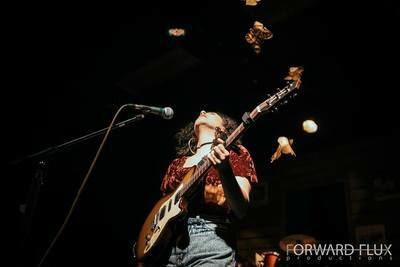 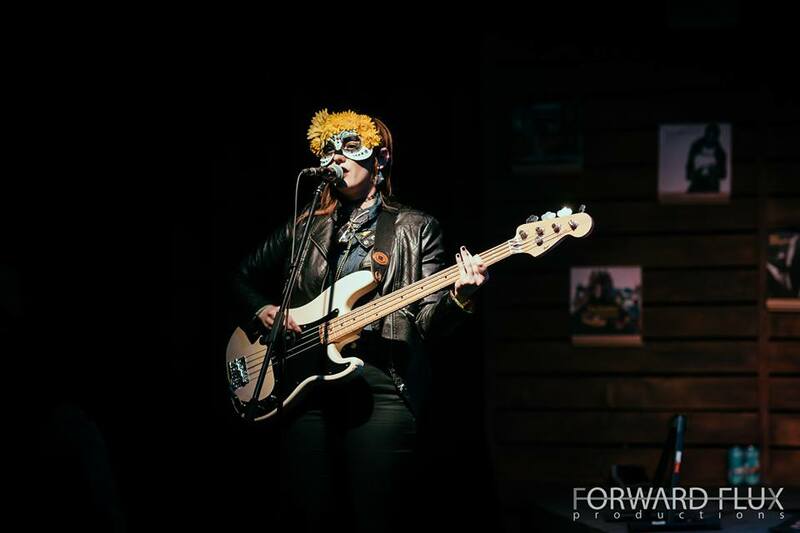 Watch a recording of the festival on HowlRound TV. 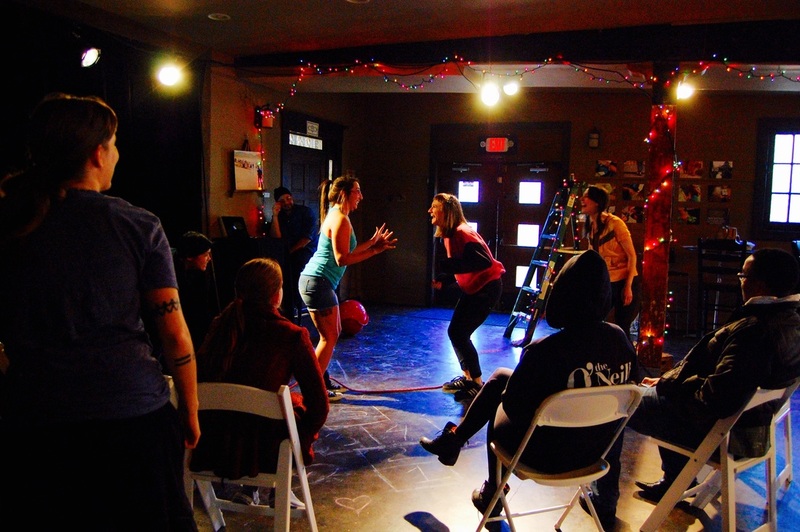 The scene was directed by Rebecca Tourino Collinsworth.